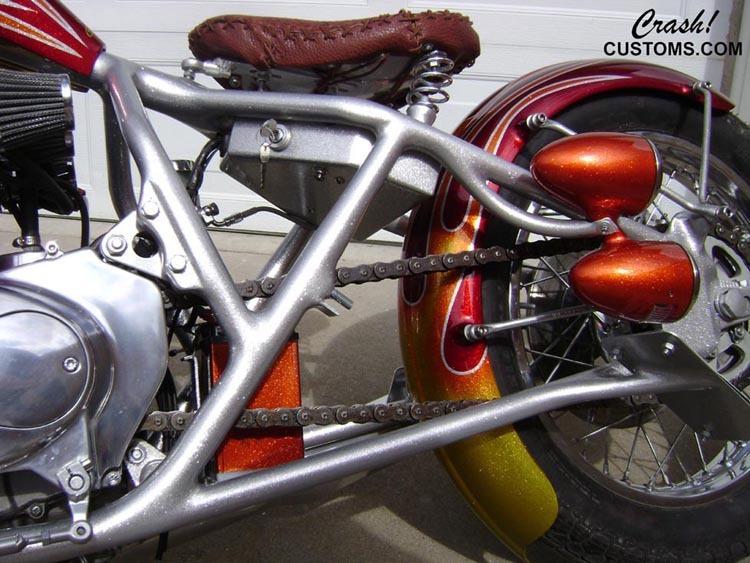 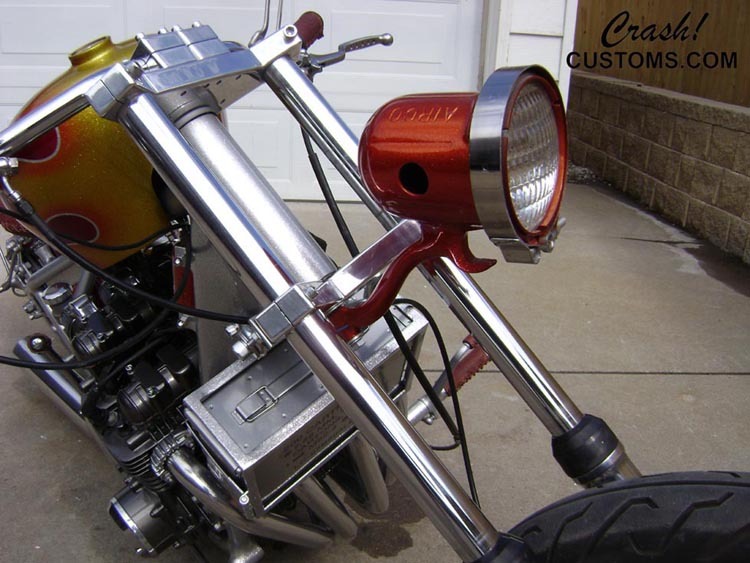 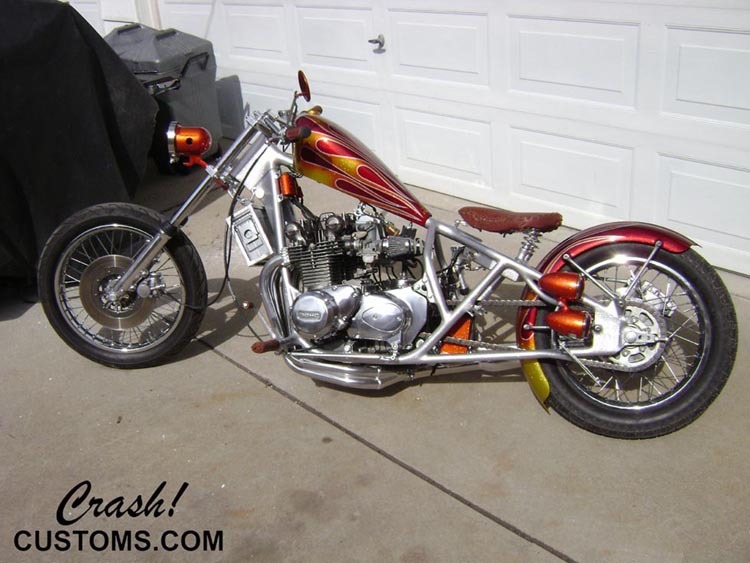 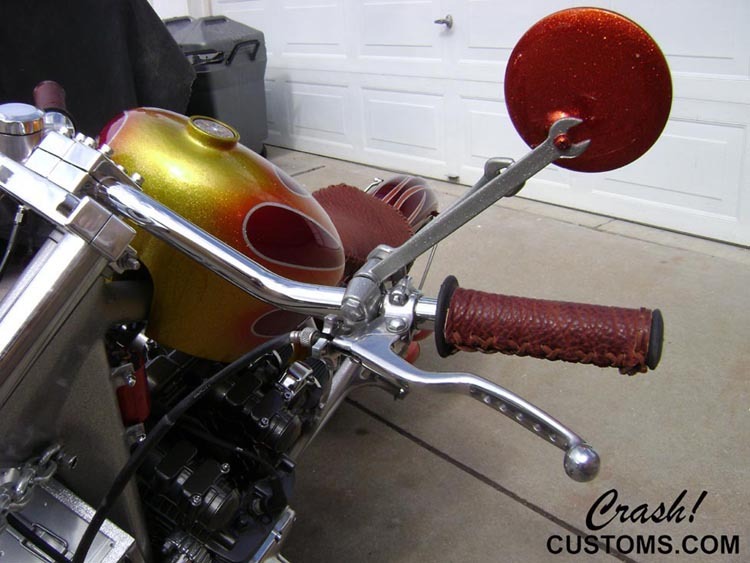 Custom Metric Chopper. 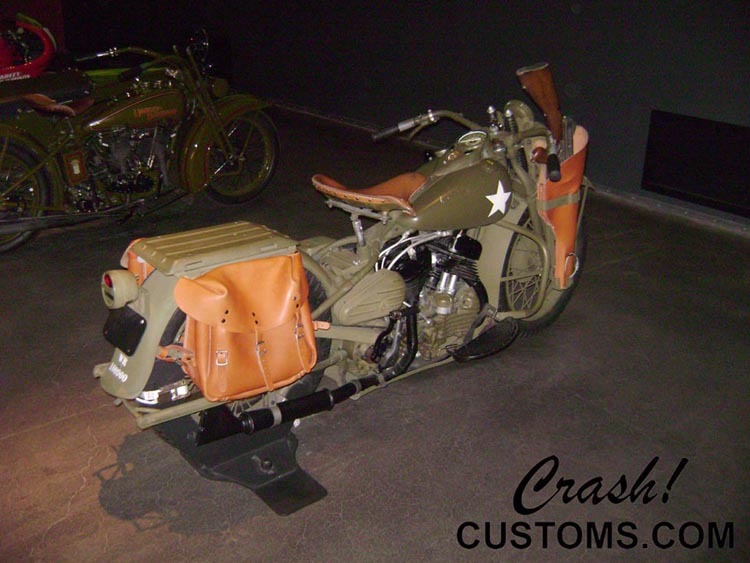 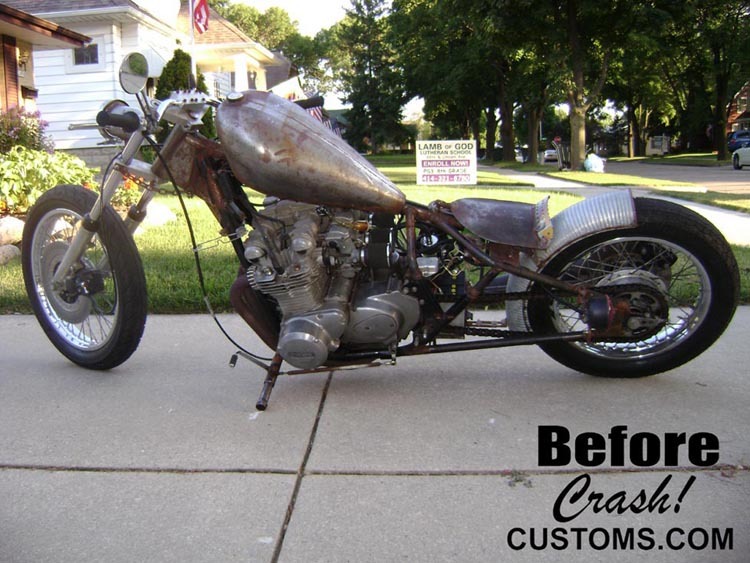 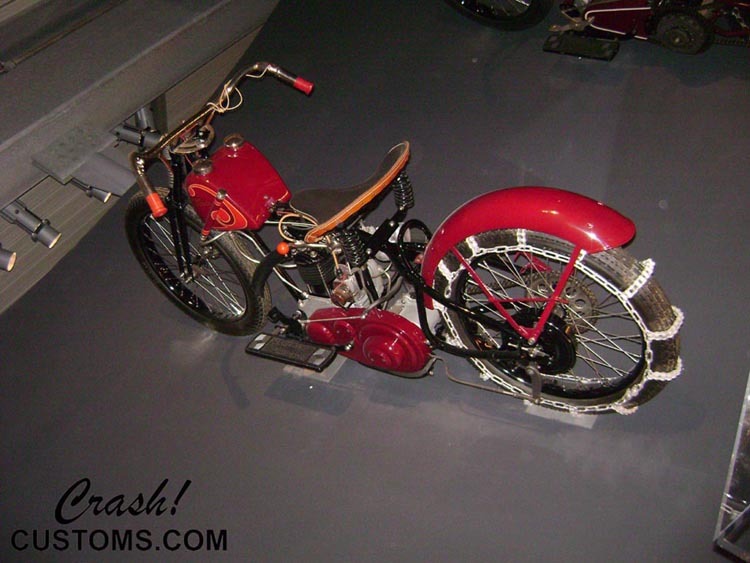 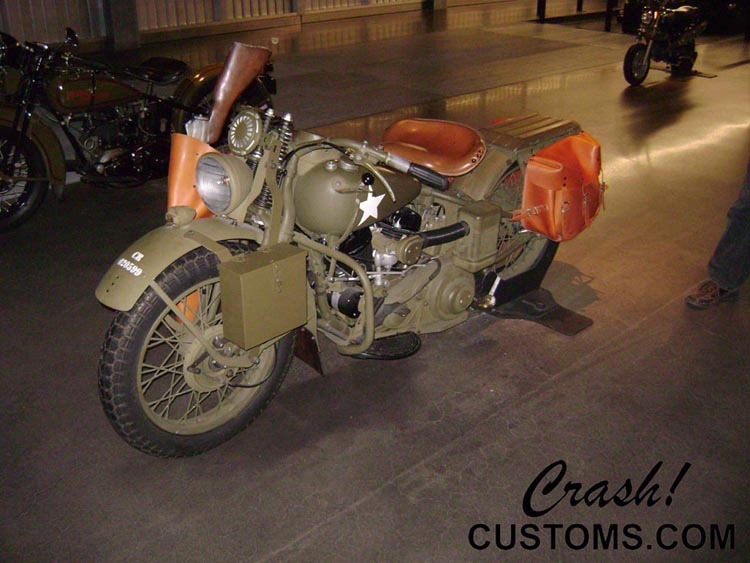 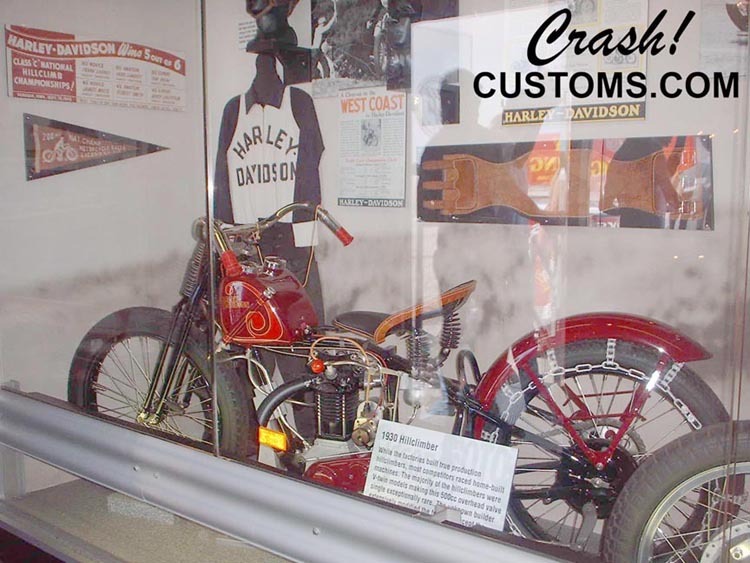 Crash's own personal bike. 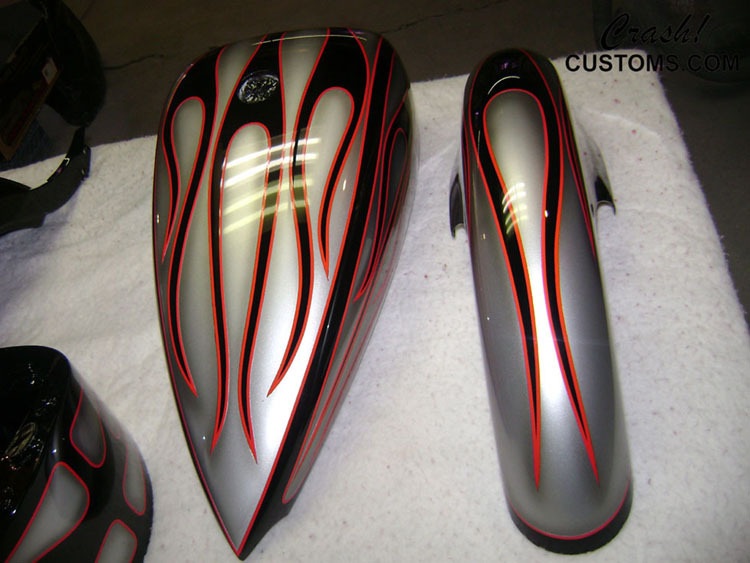 Complete bodywork and custom paint. 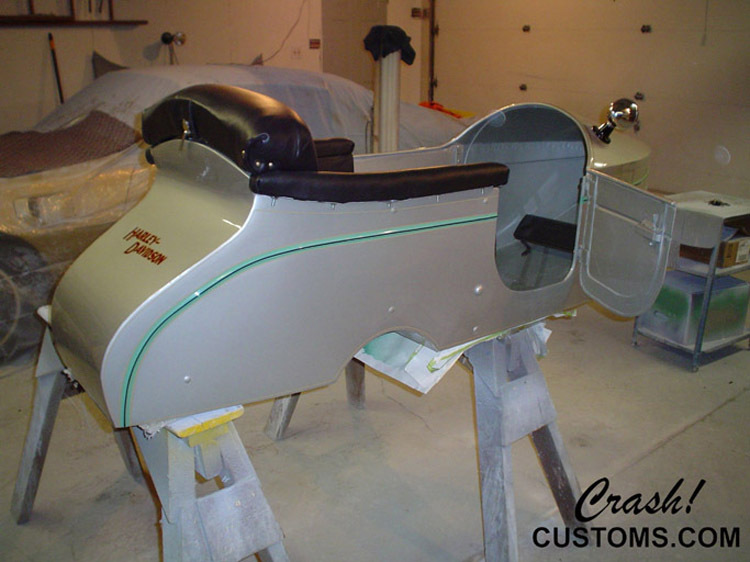 Smoothed and molded frame. 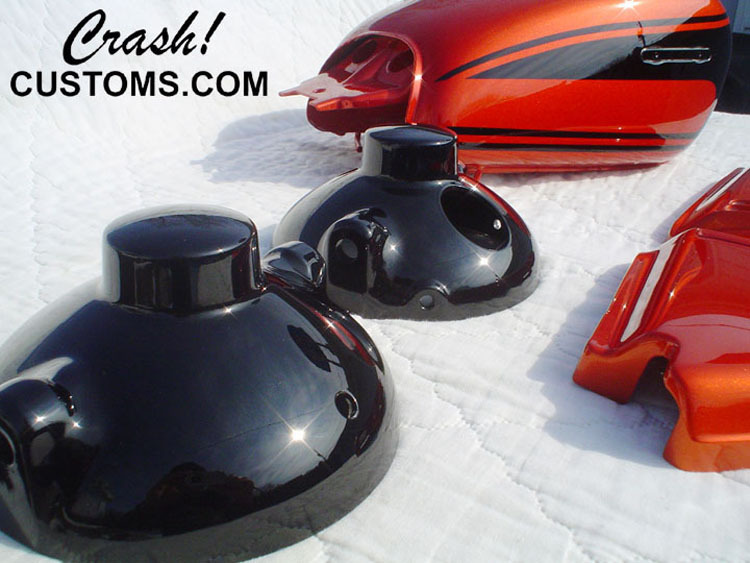 '37 Ford custom tail lights. 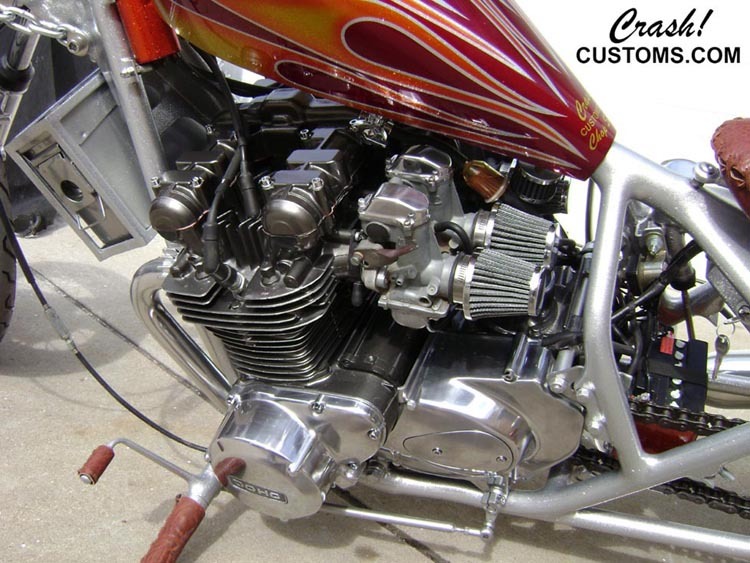 Painted and detailed engine. 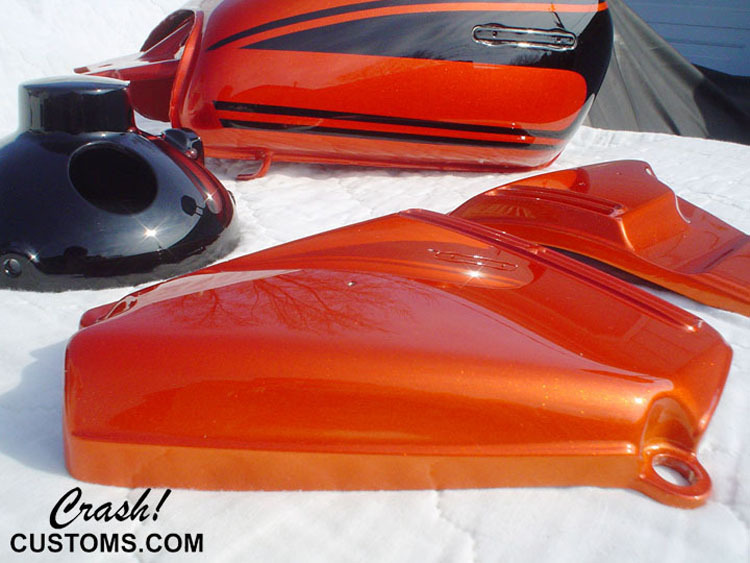 House of Color candies over boat flake. 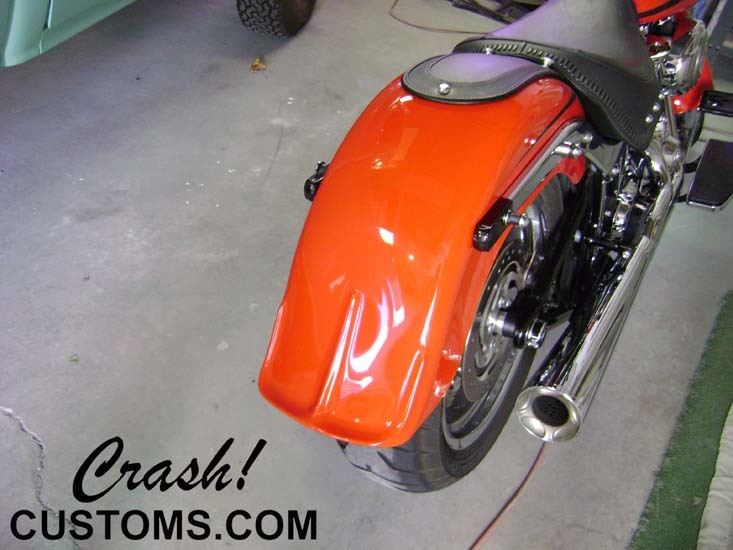 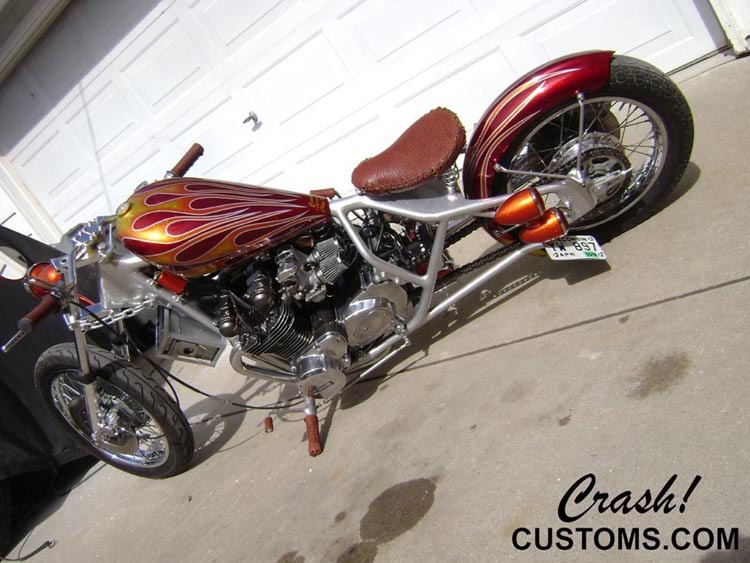 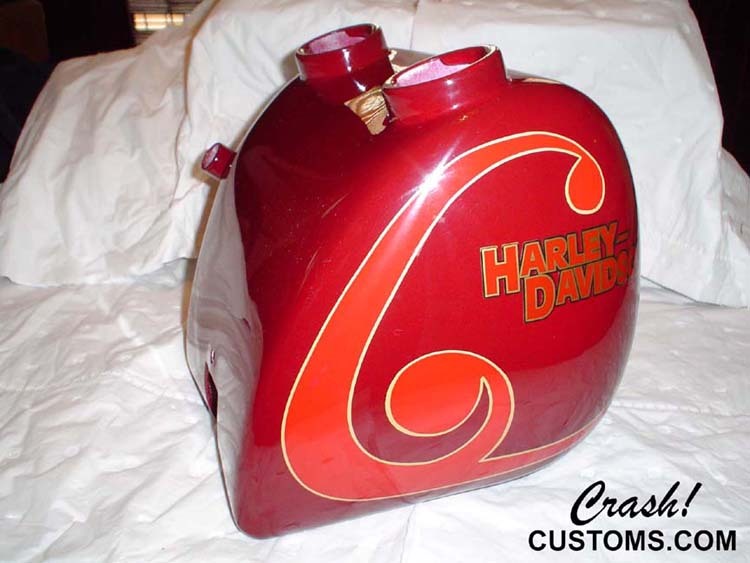 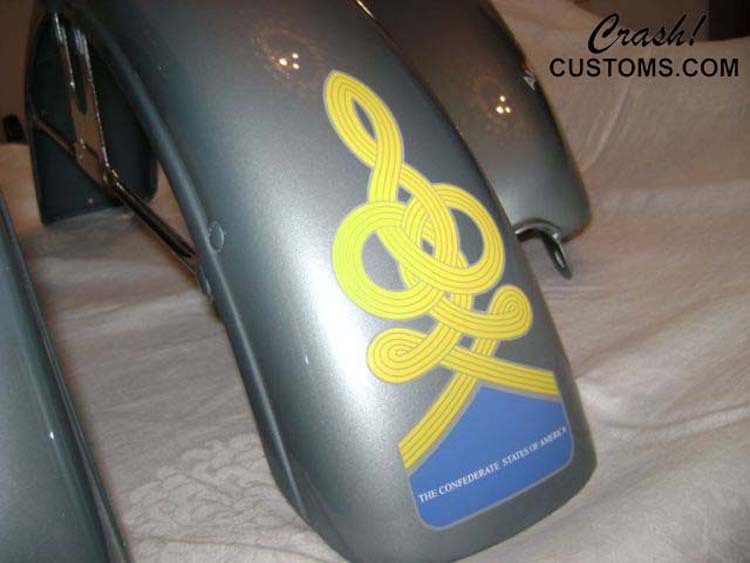 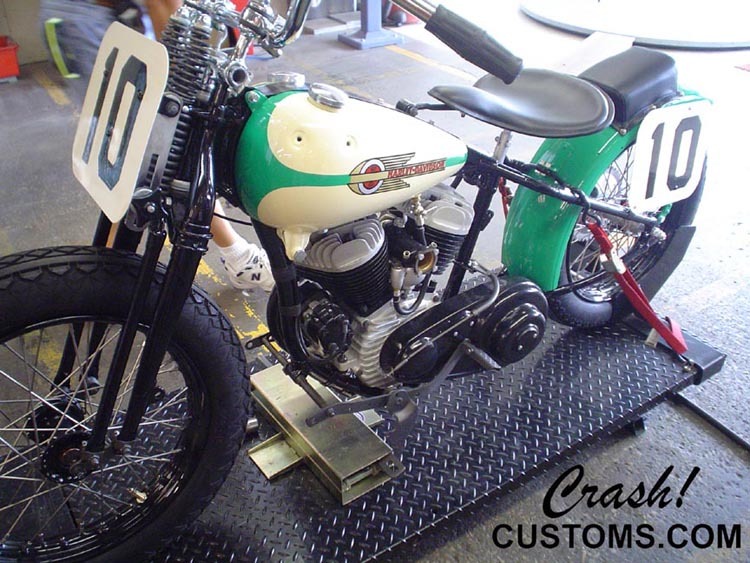 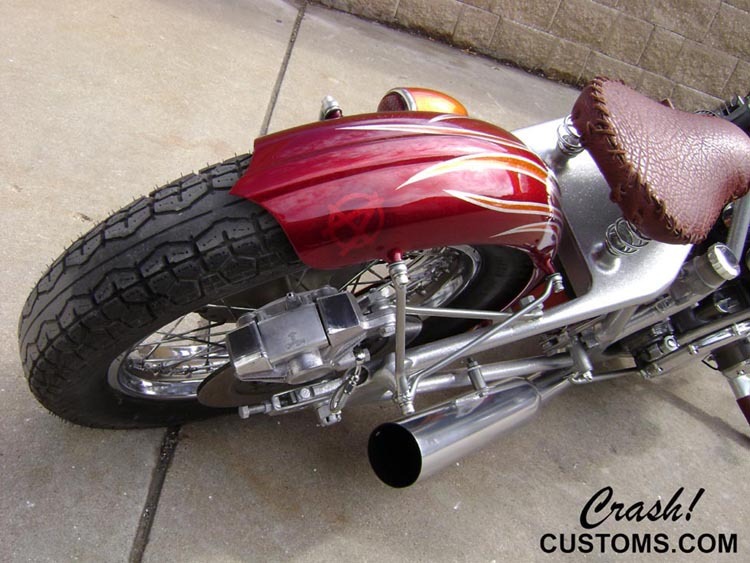 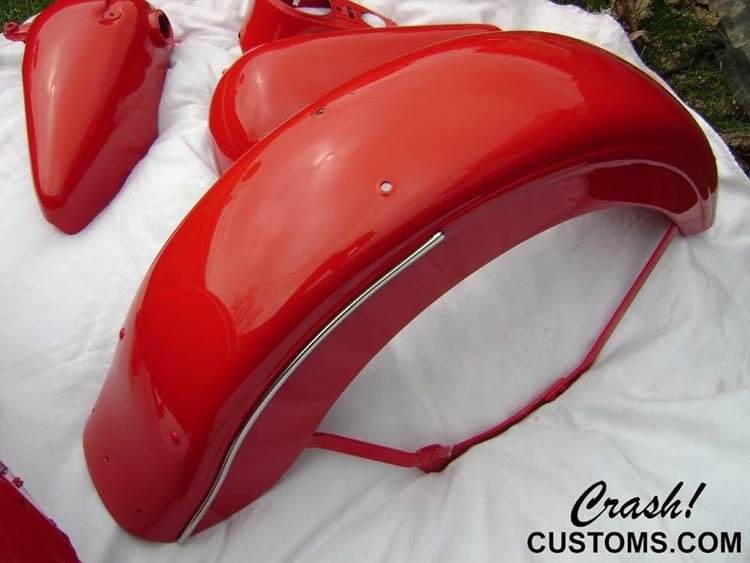 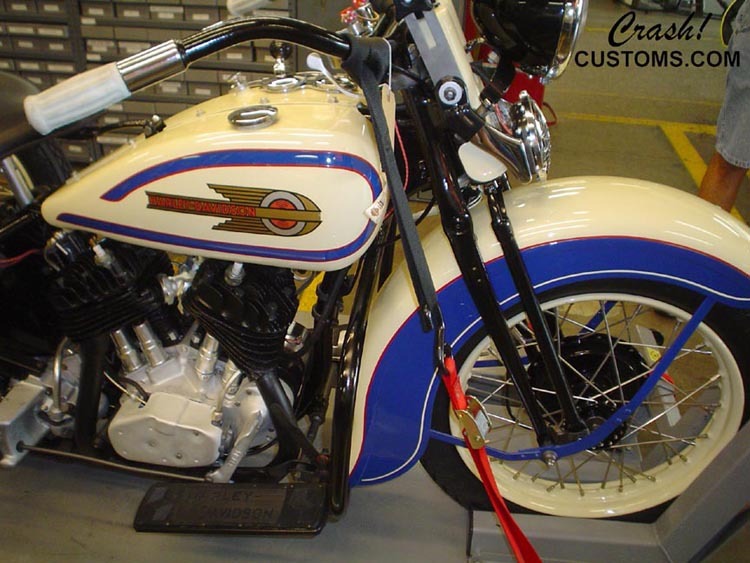 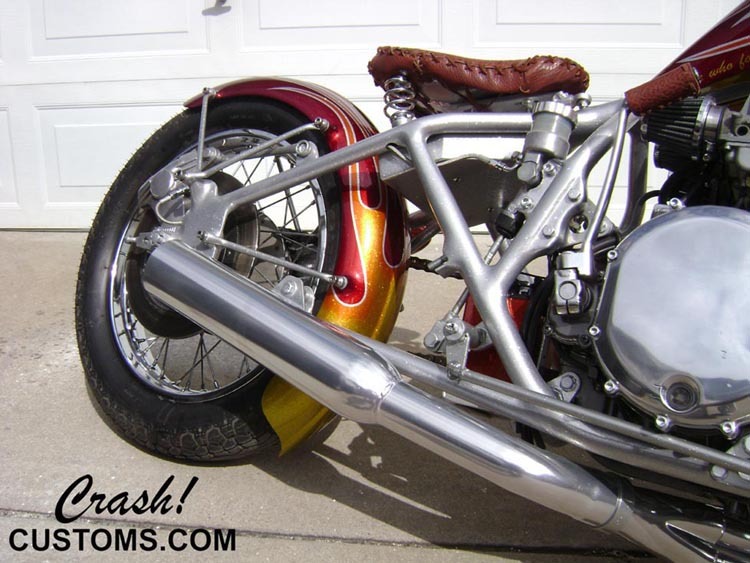 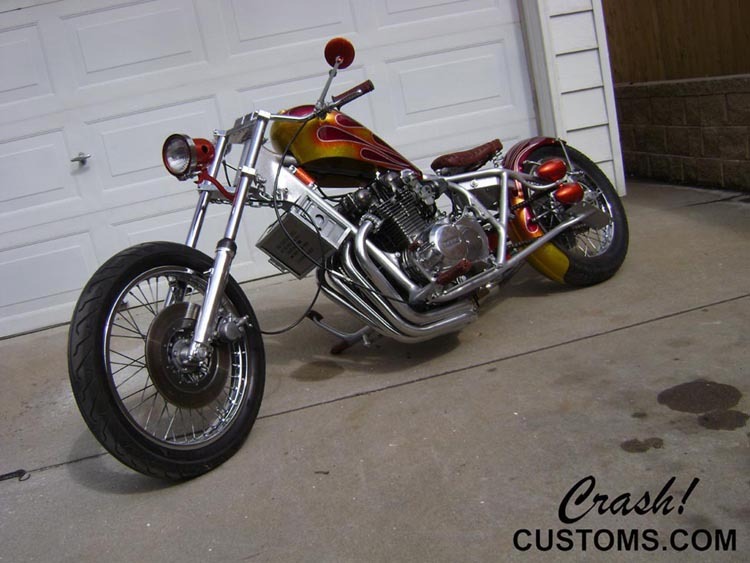 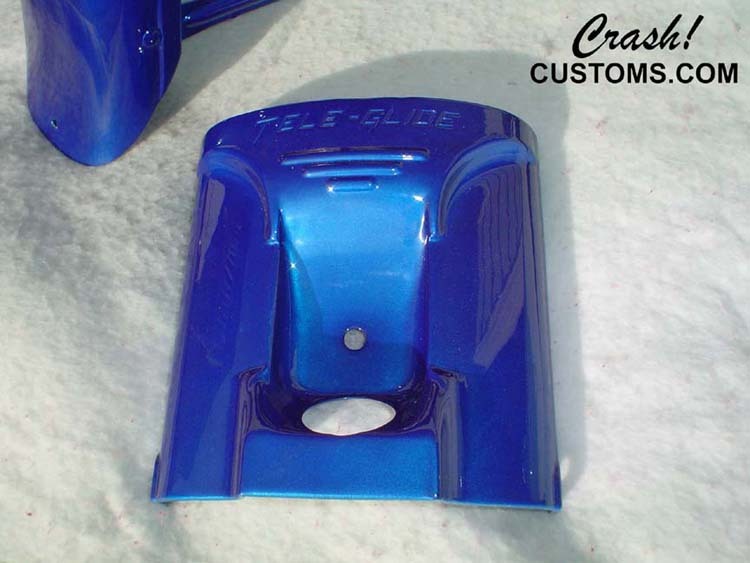 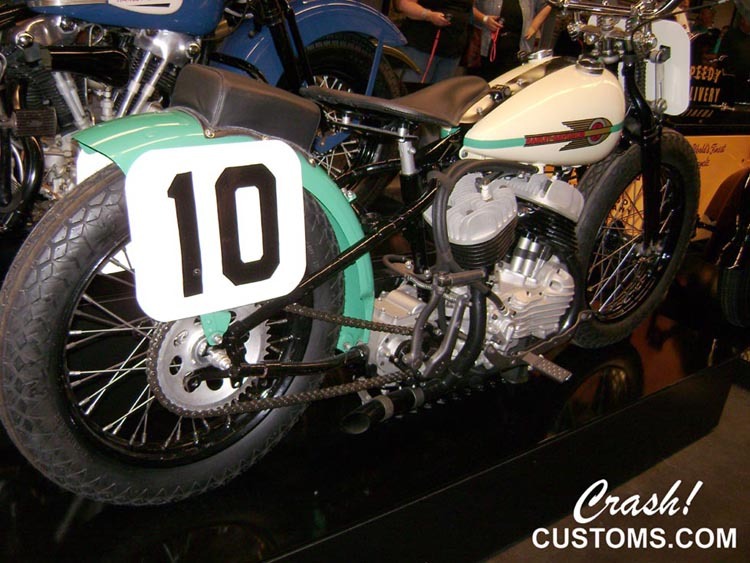 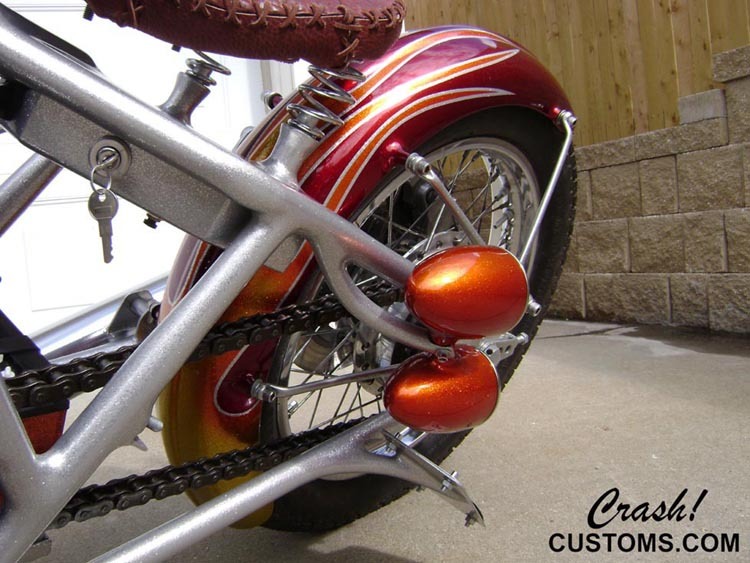 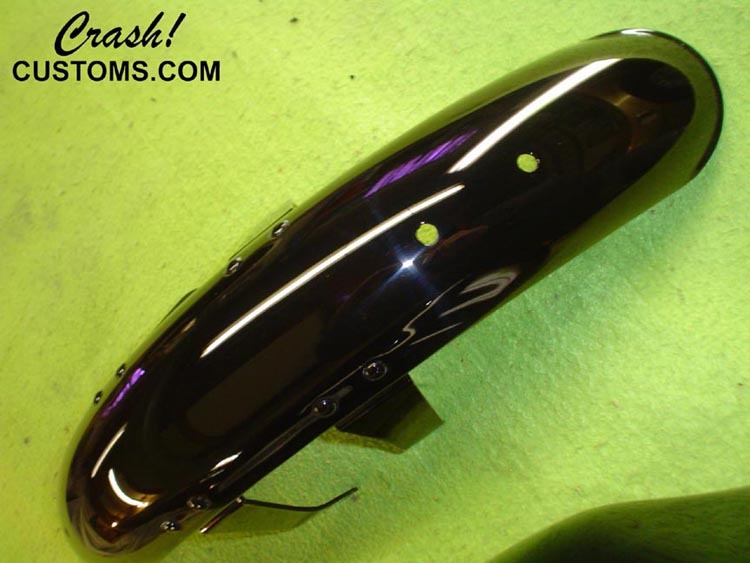 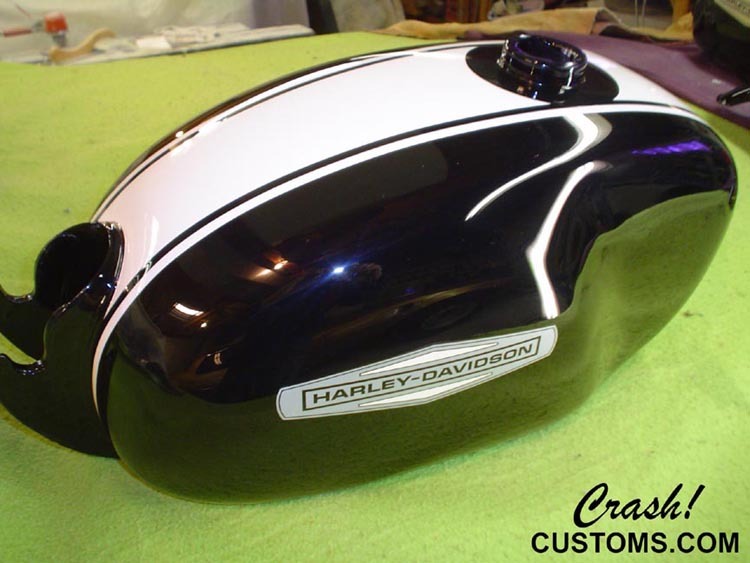 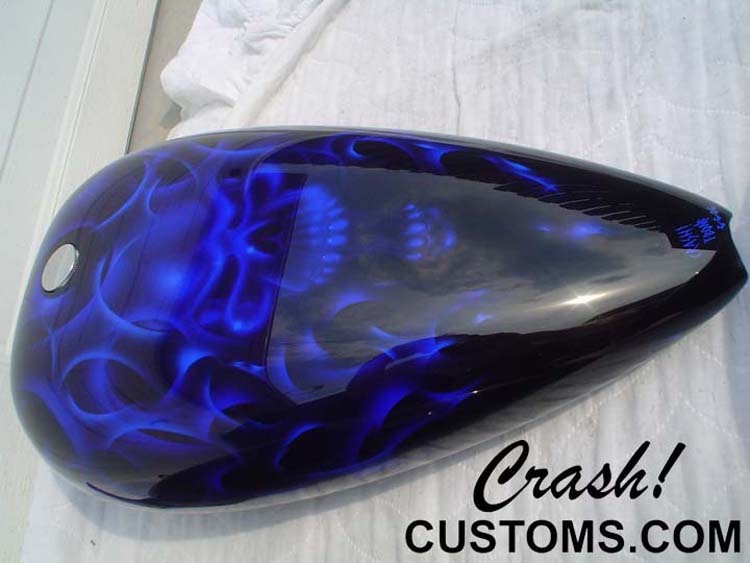 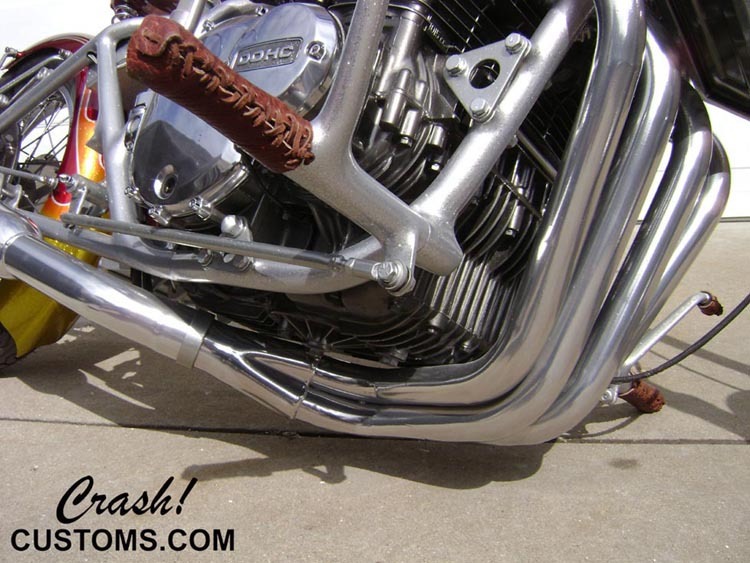 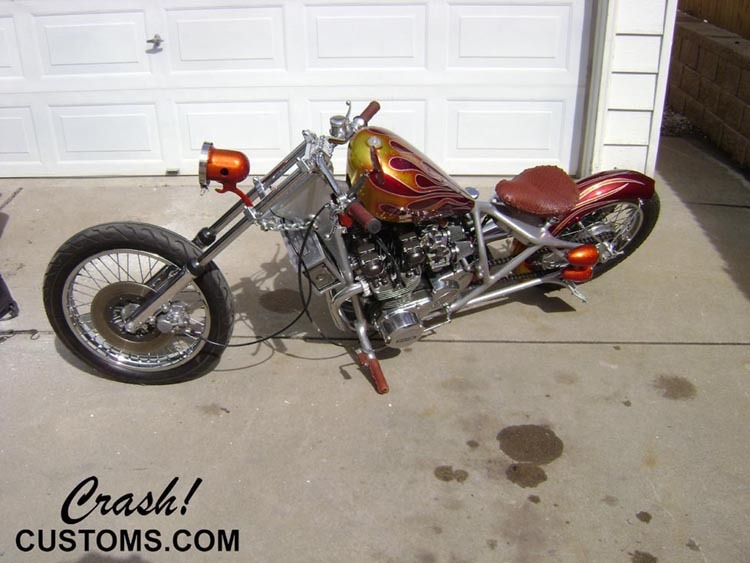 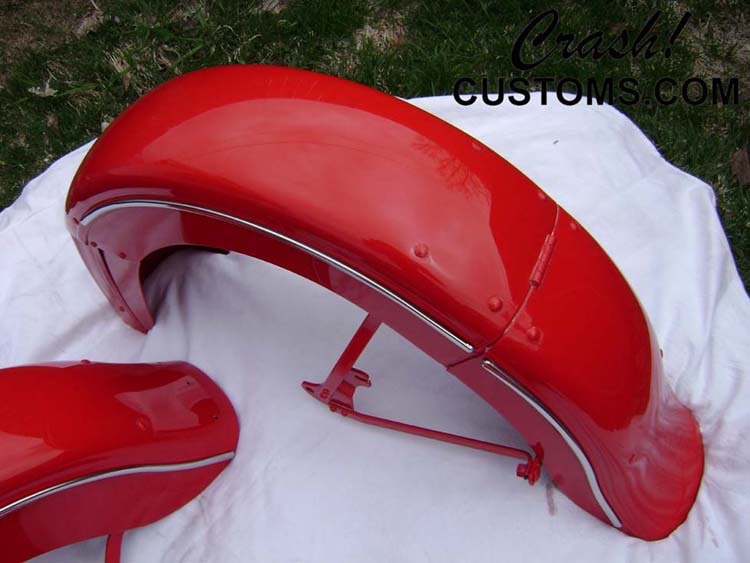 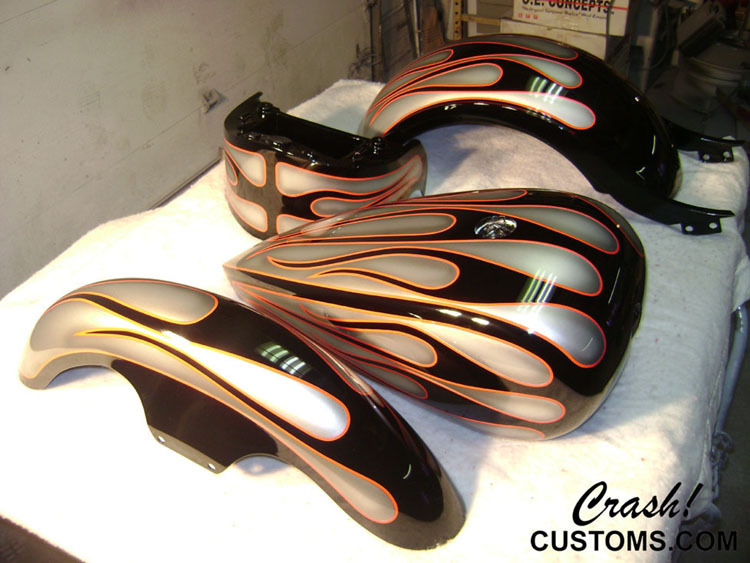 Custom cut rear fender, Jesse James gas tank. 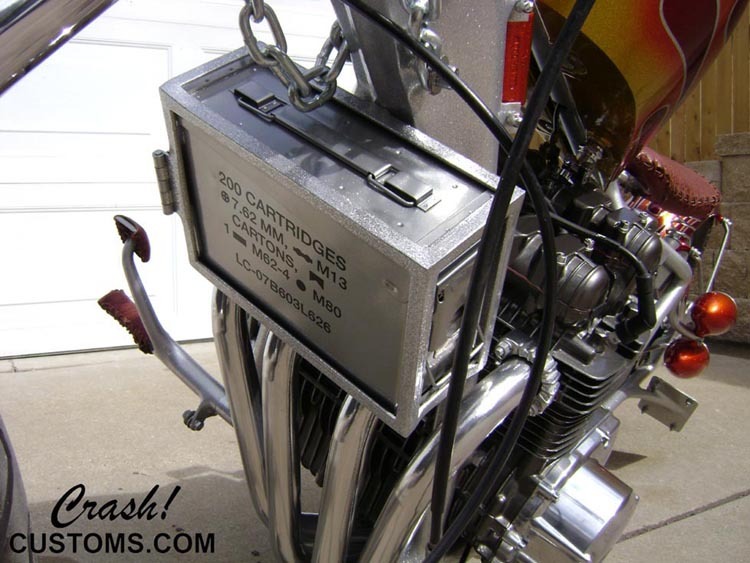 Custom headlight, custom ammo box and mount. 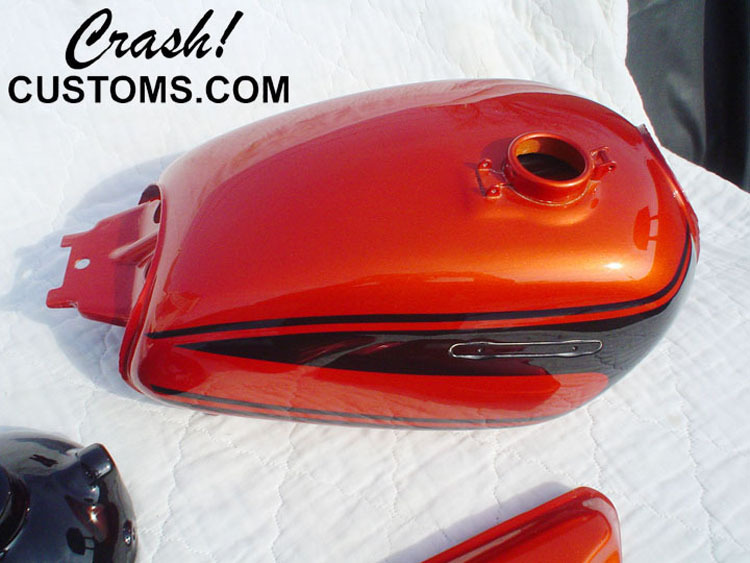 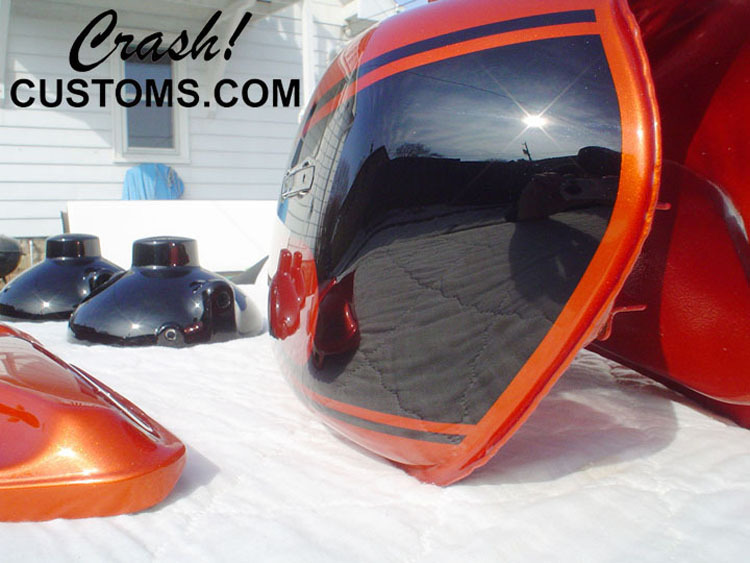 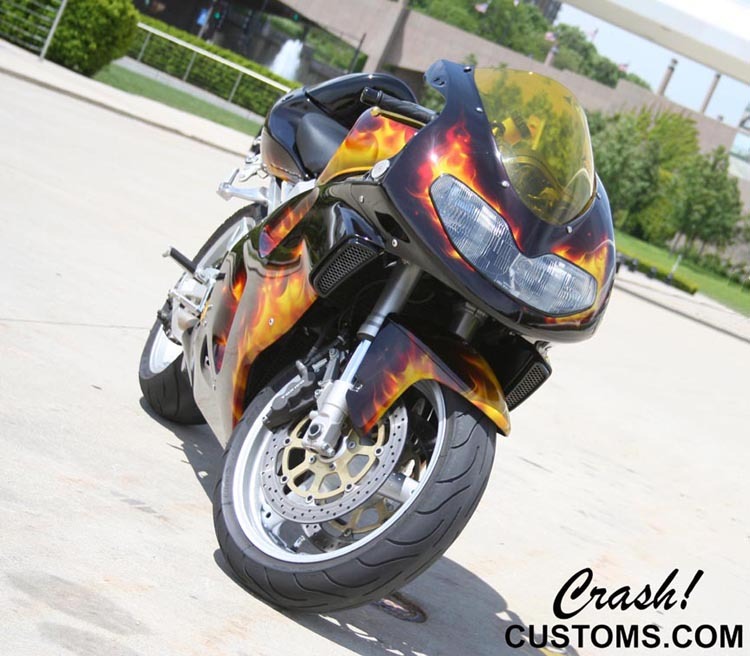 This evil paint job was done by Crash! 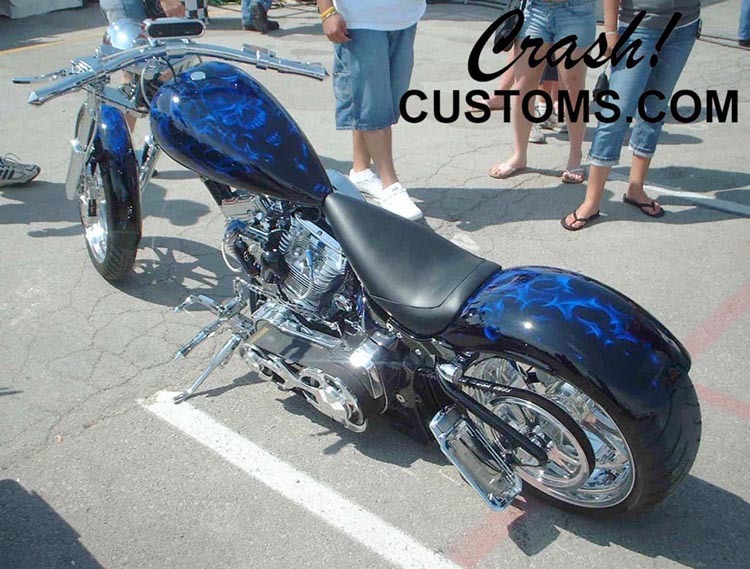 on 06-06-06! 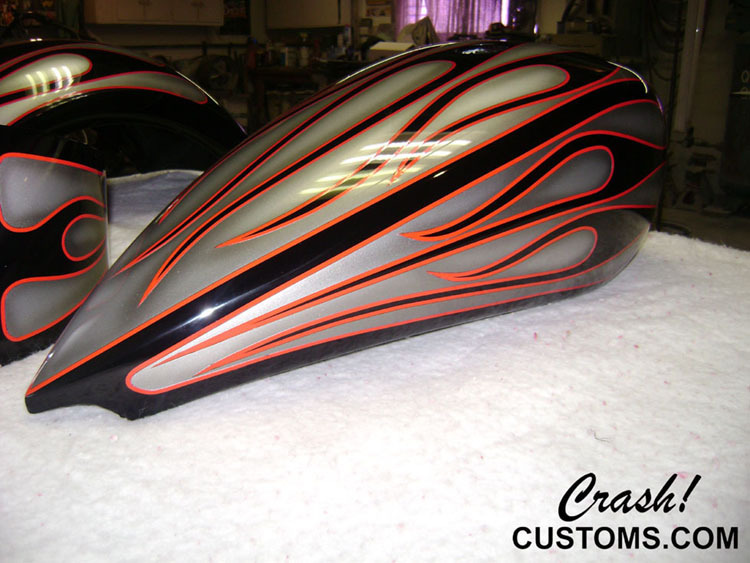 Complete bodywork and custom paint. 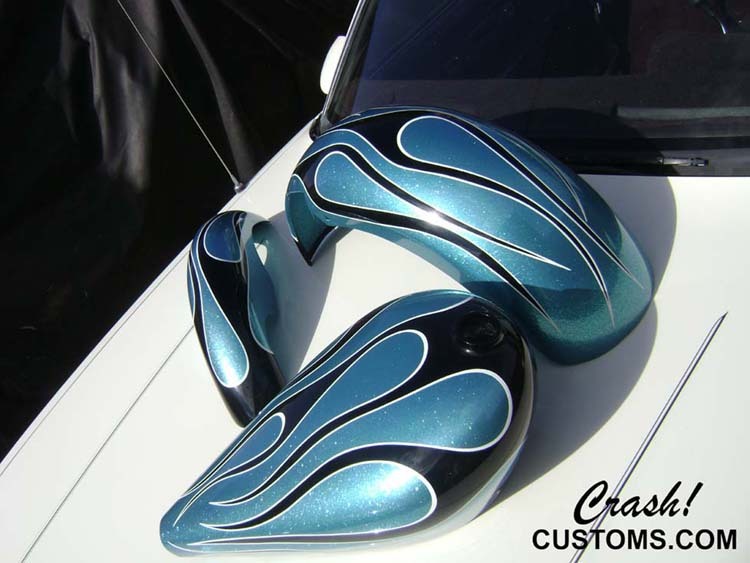 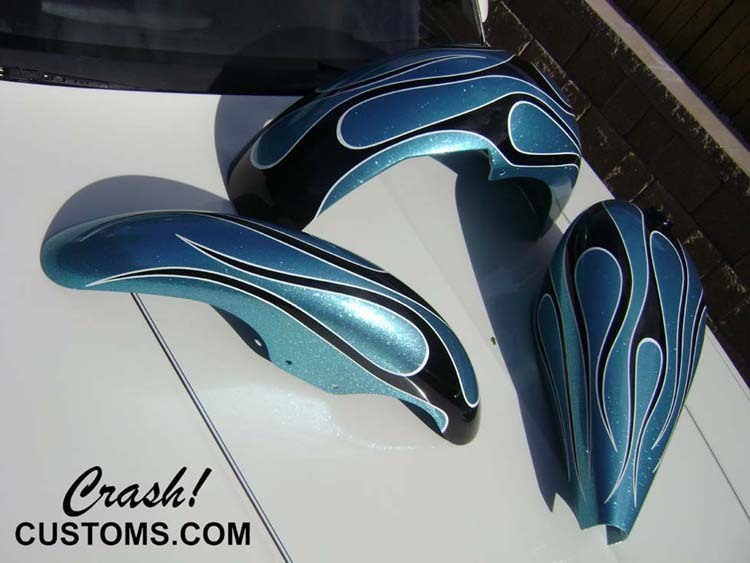 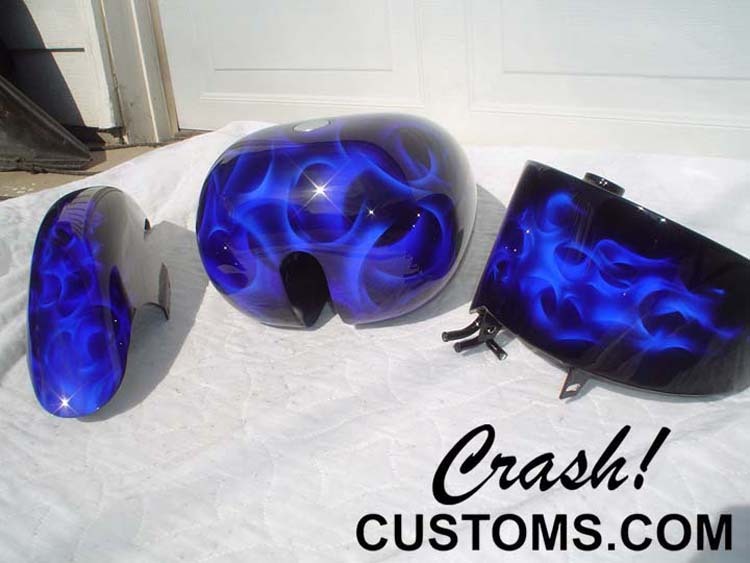 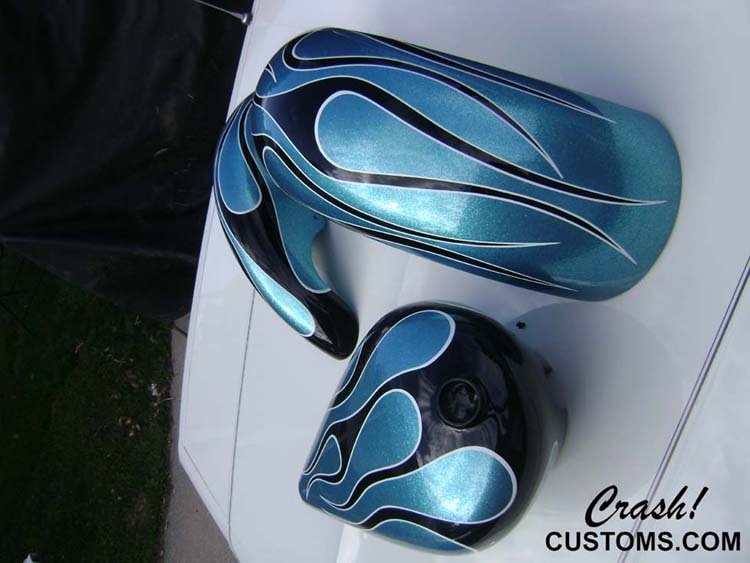 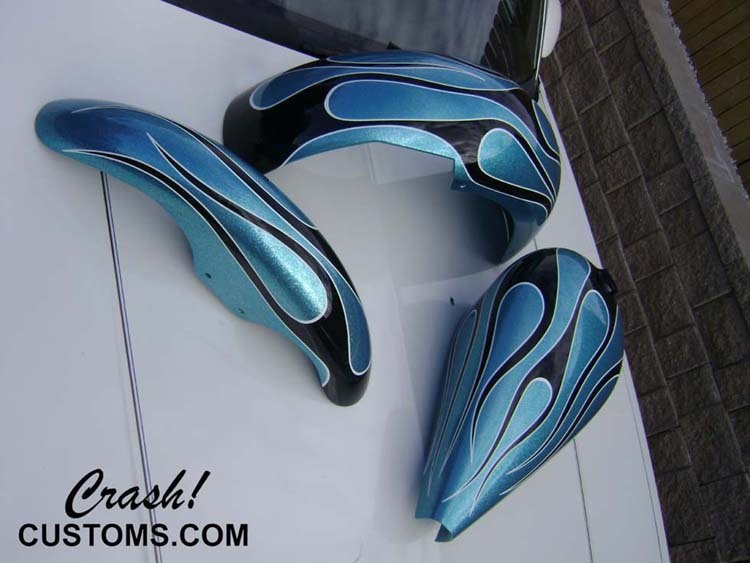 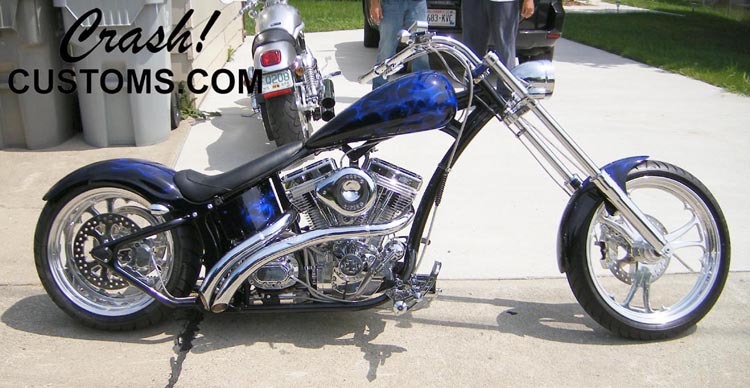 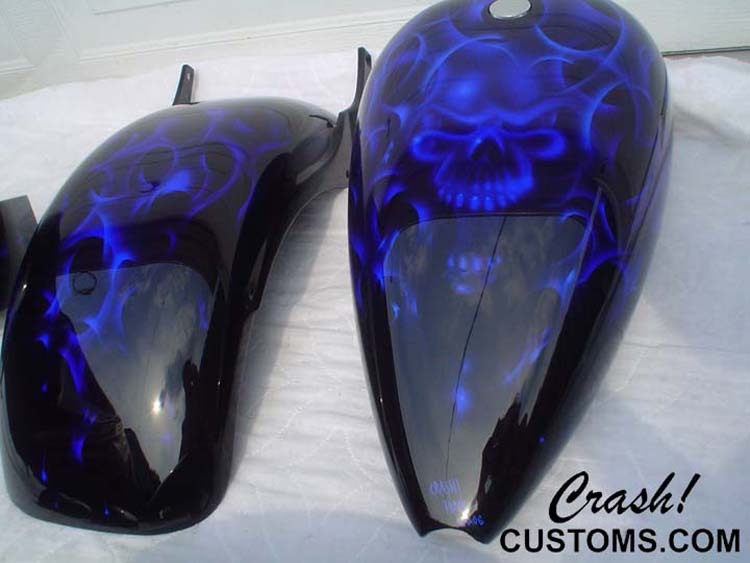 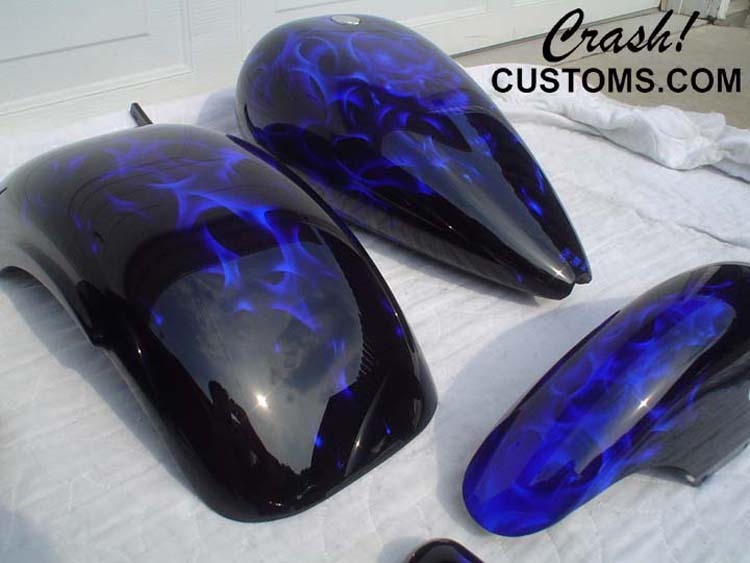 Shades of candy blue tru-fire with air brushed skulls. 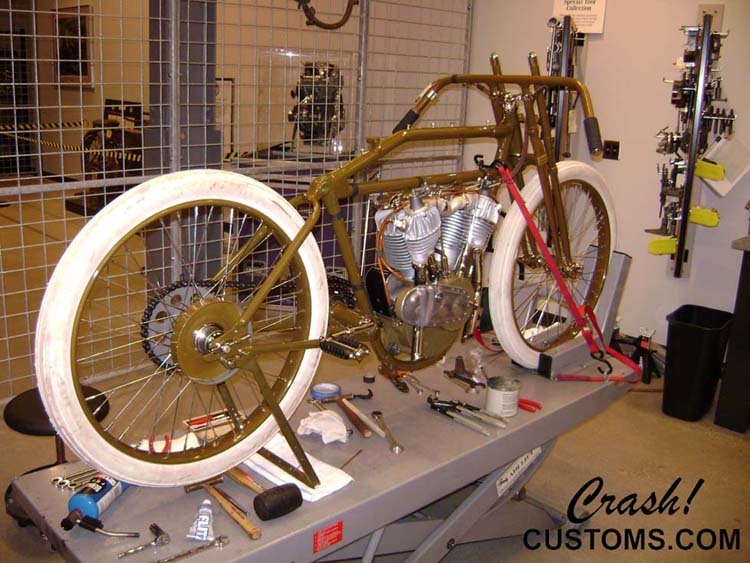 Final assembly by owner. 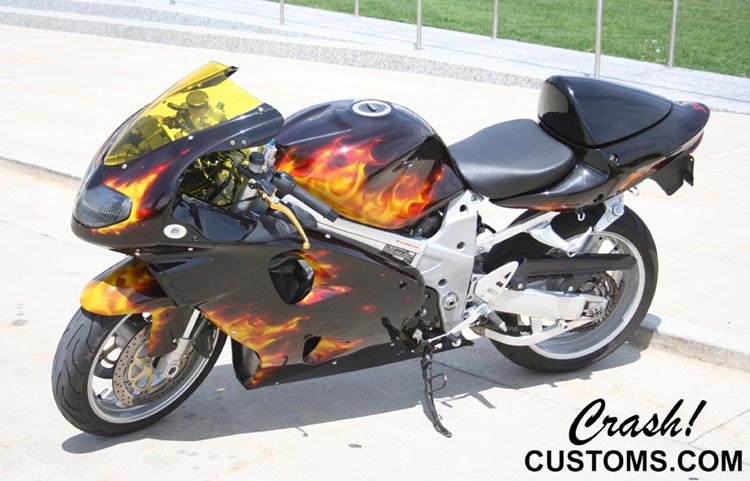 This fast bike looks even faster now! 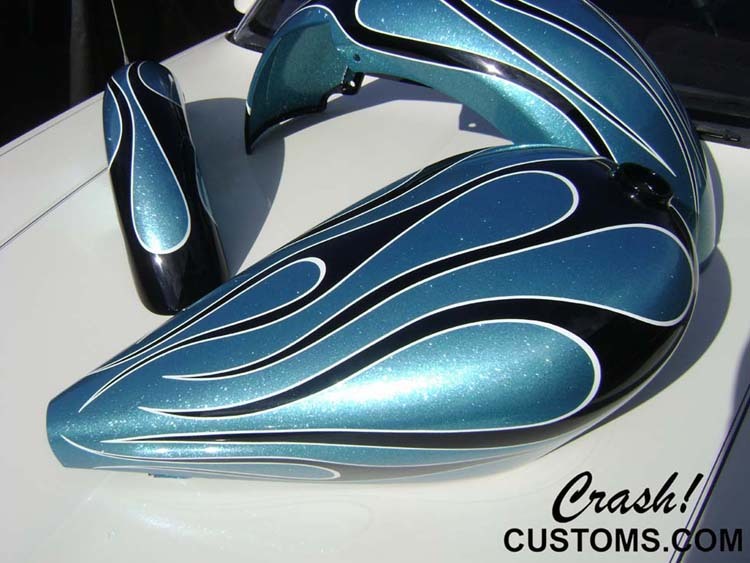 Complete bodywork and custom paint. 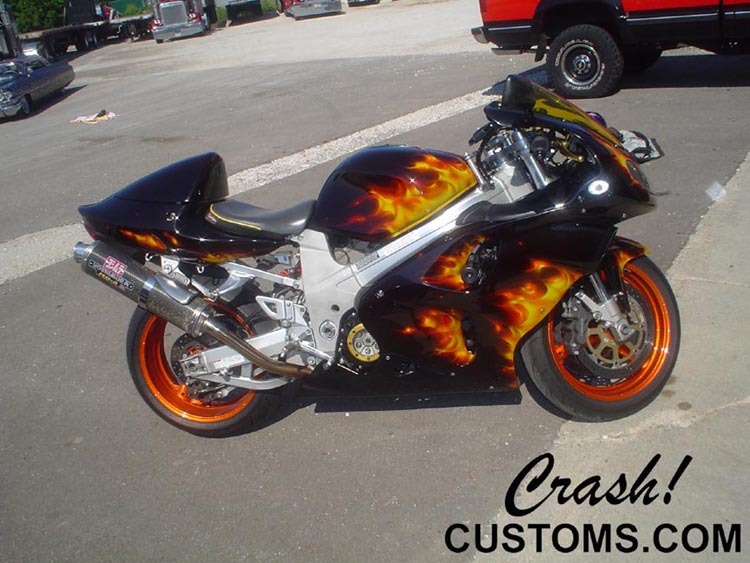 Black with tru-fire flames. 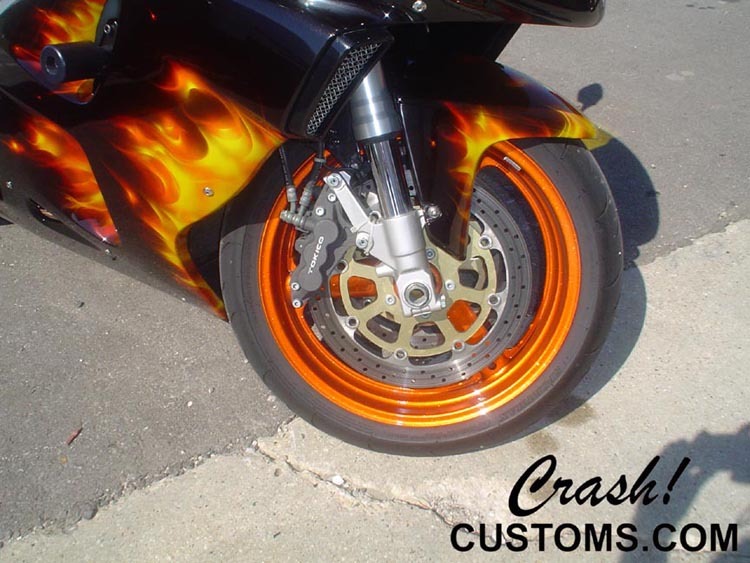 Painted wheels. 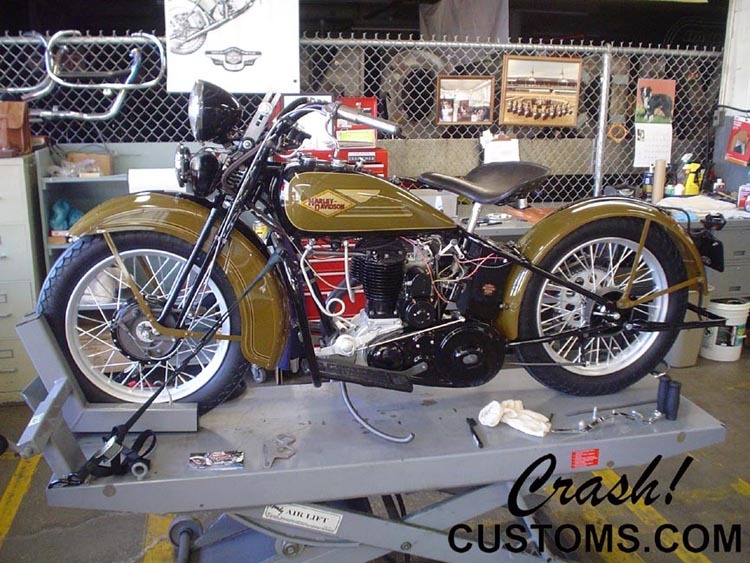 Final assembly by owner. 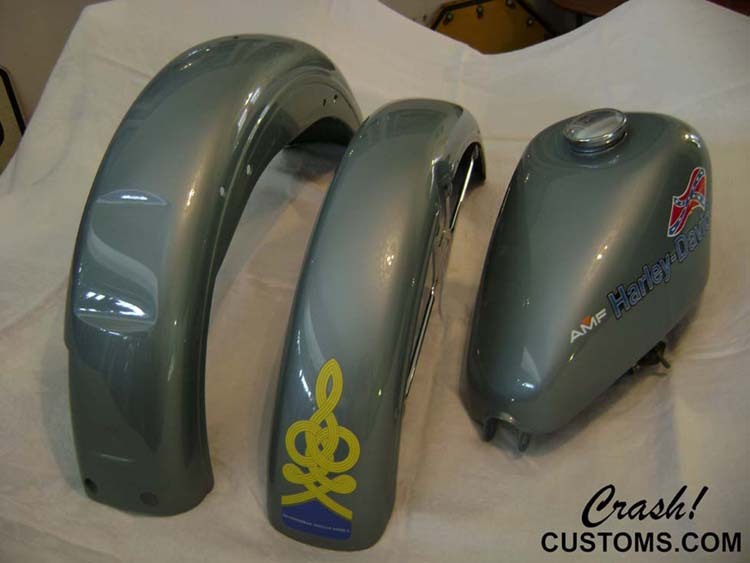 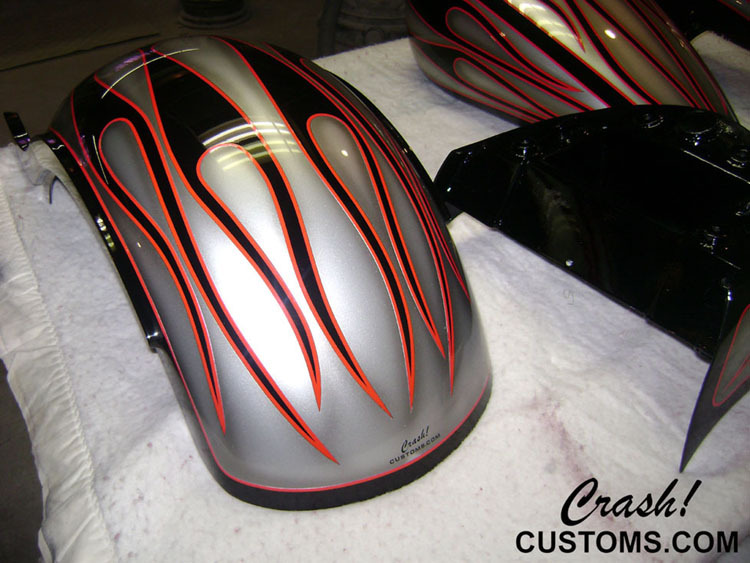 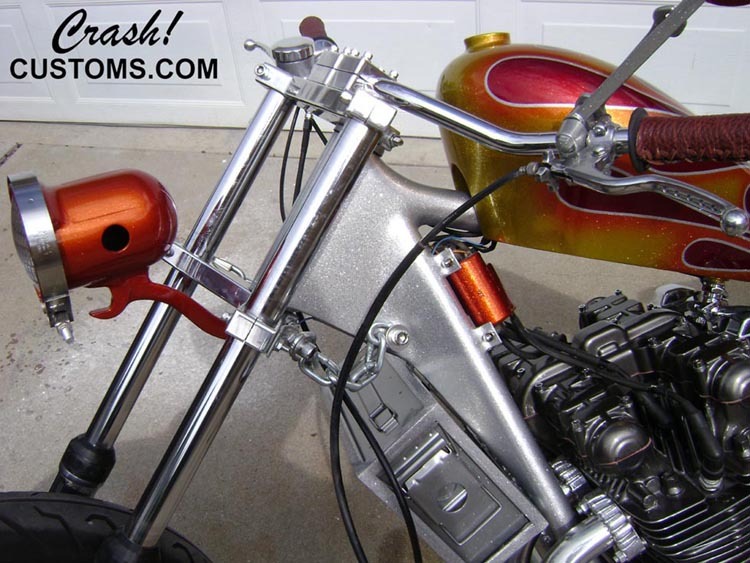 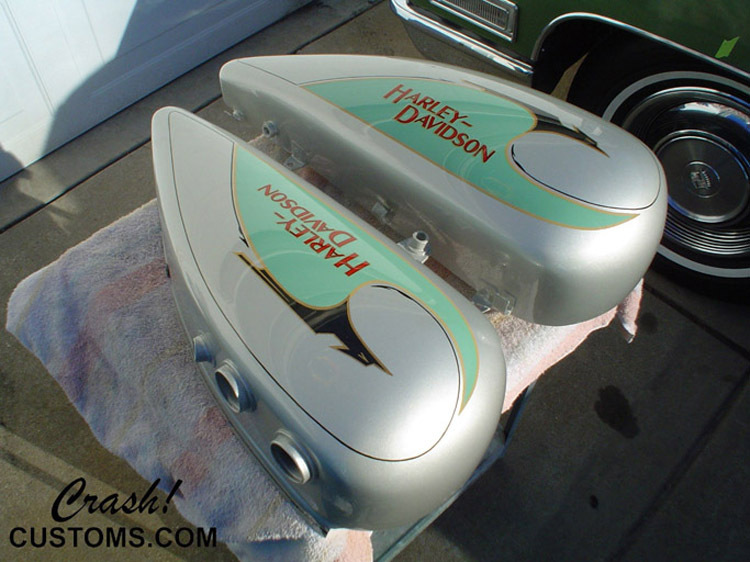 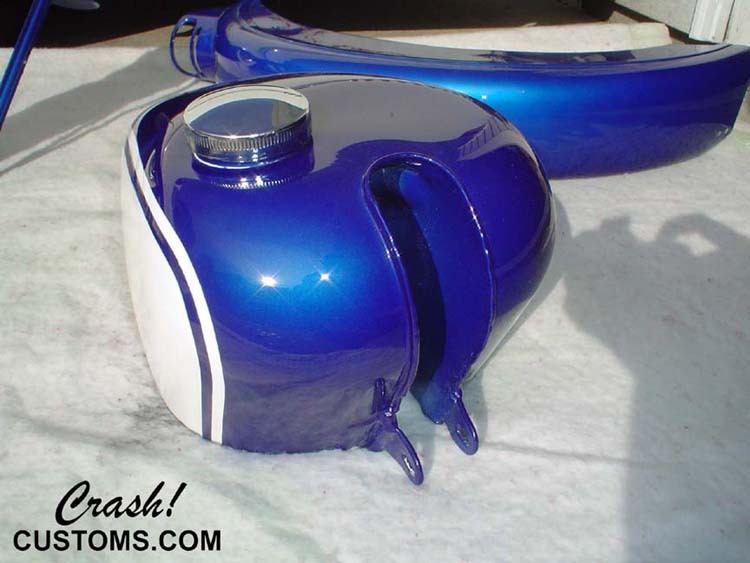 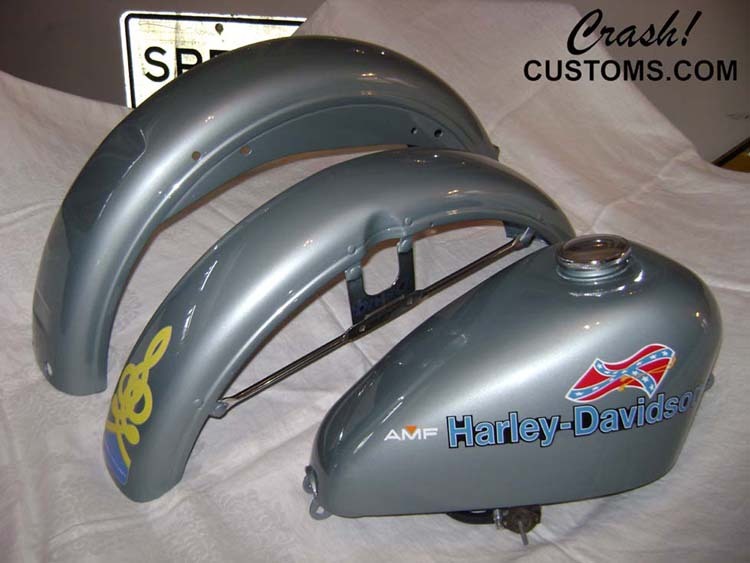 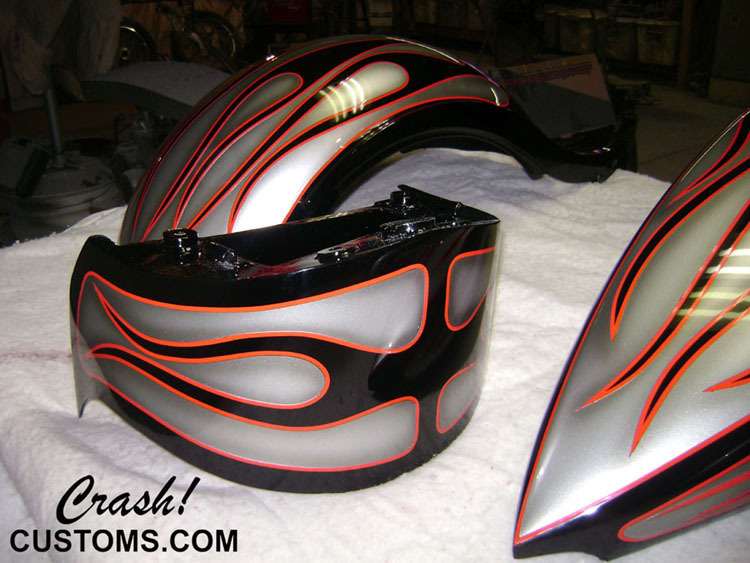 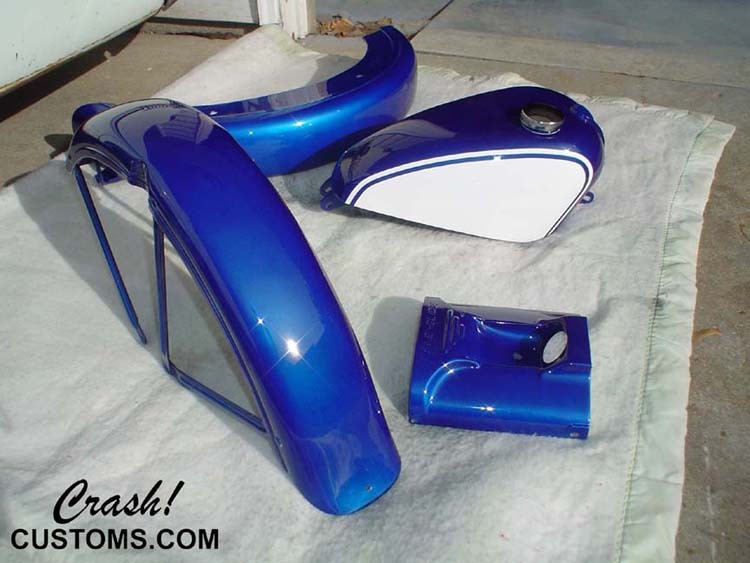 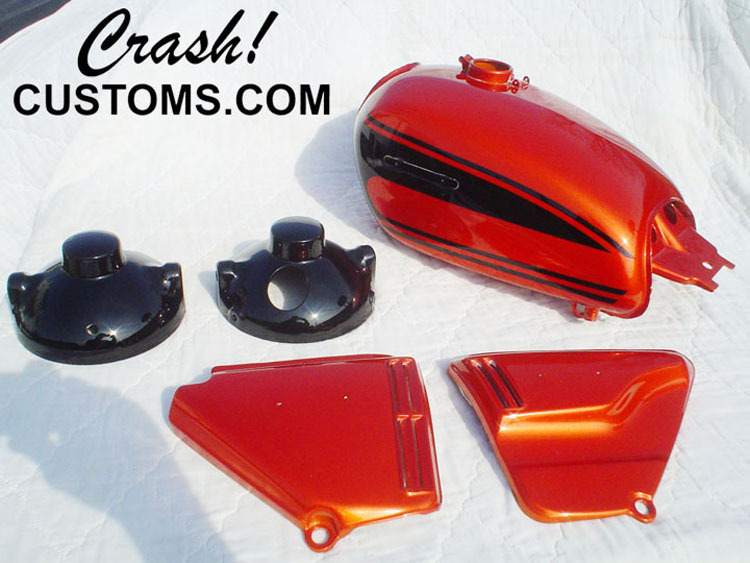 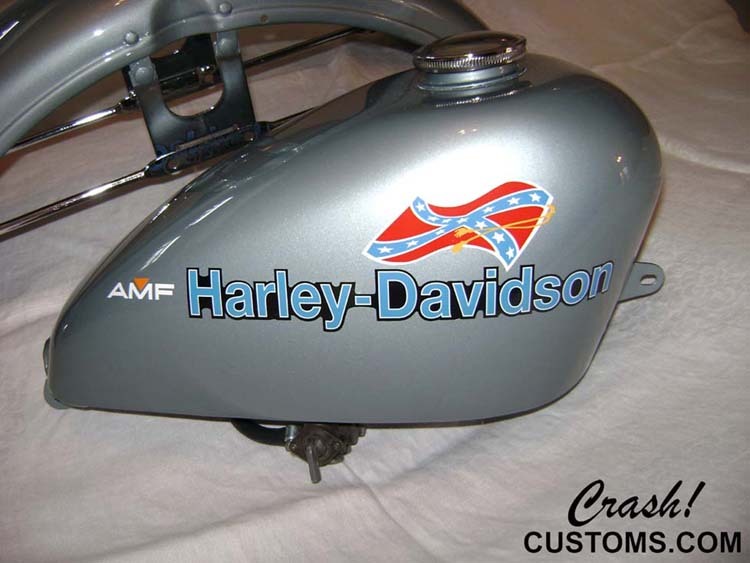 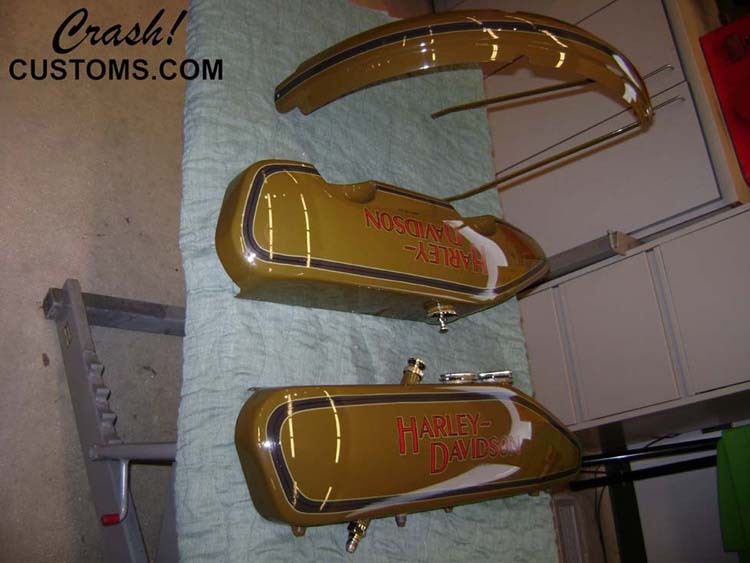 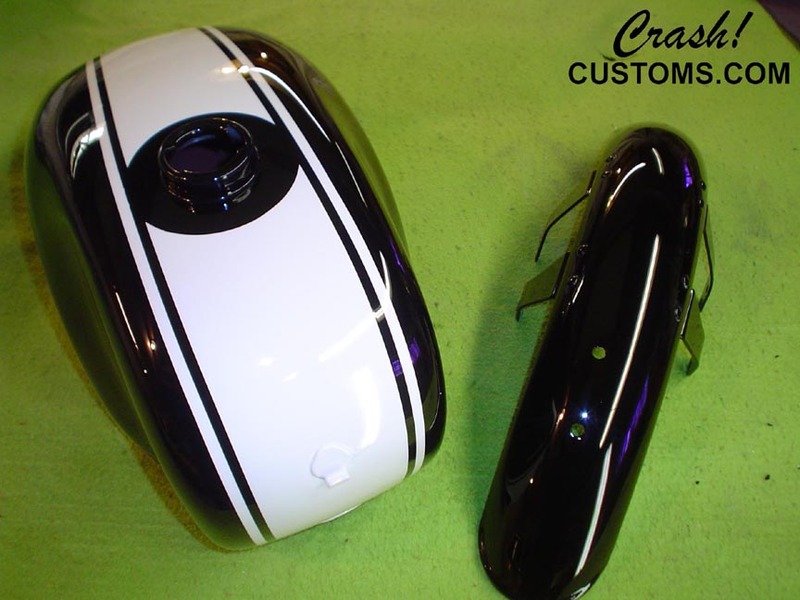 Here are the finished tins from other custom bike paint jobs. 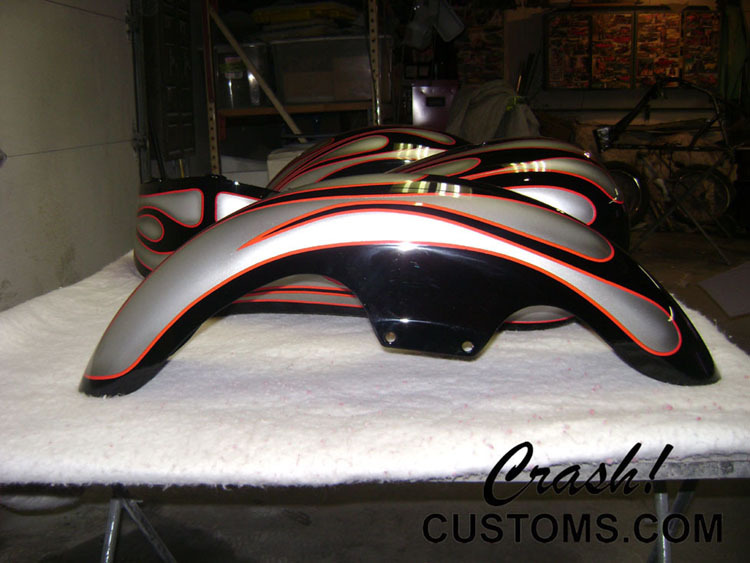 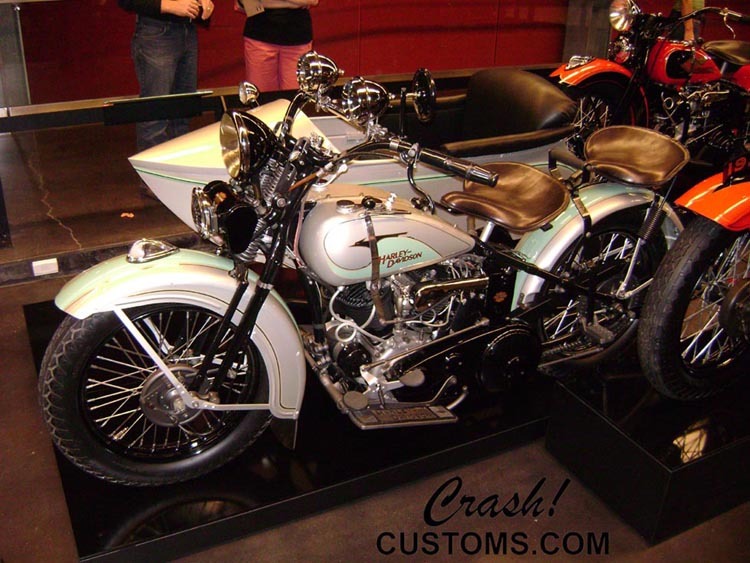 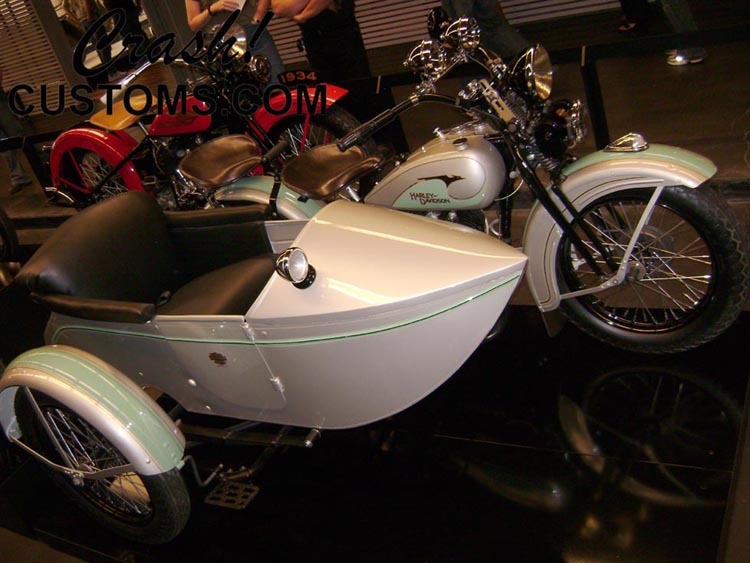 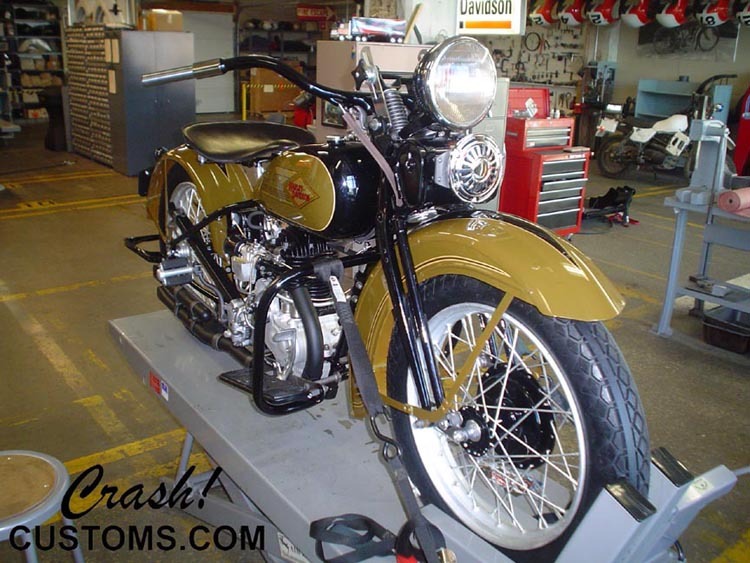 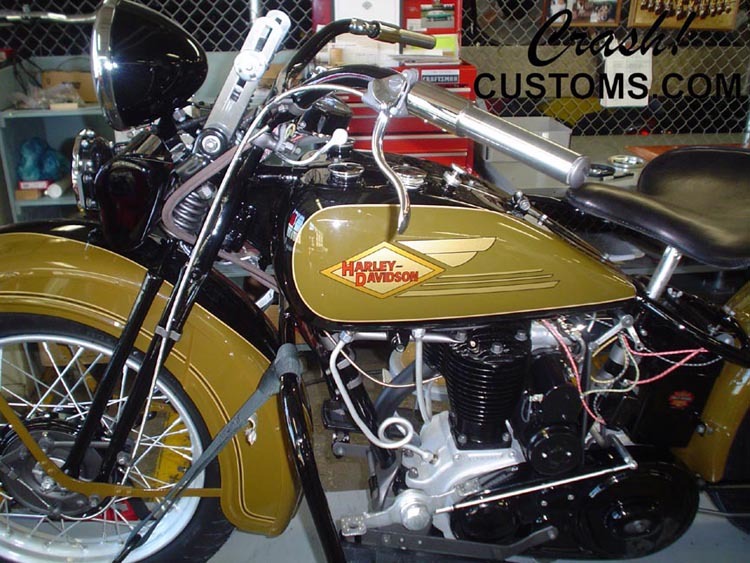 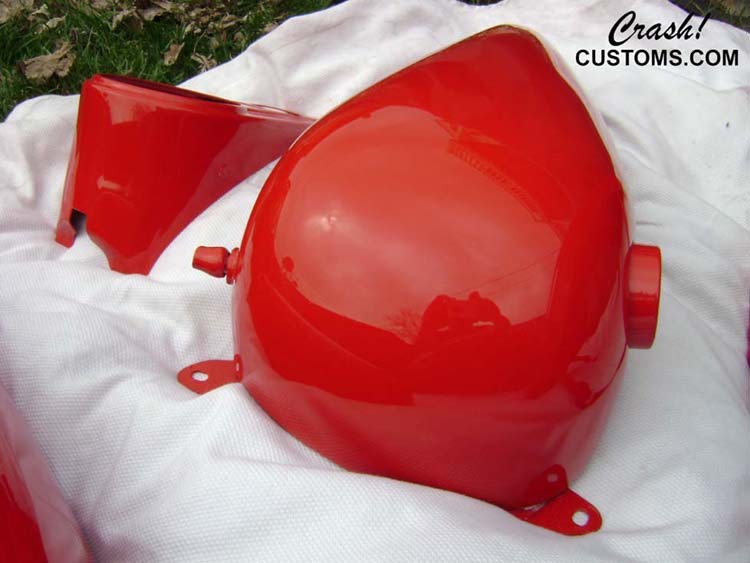 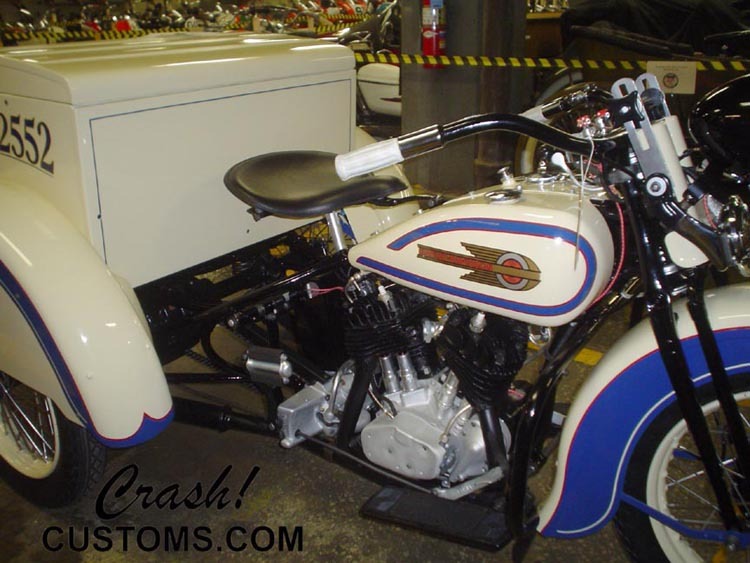 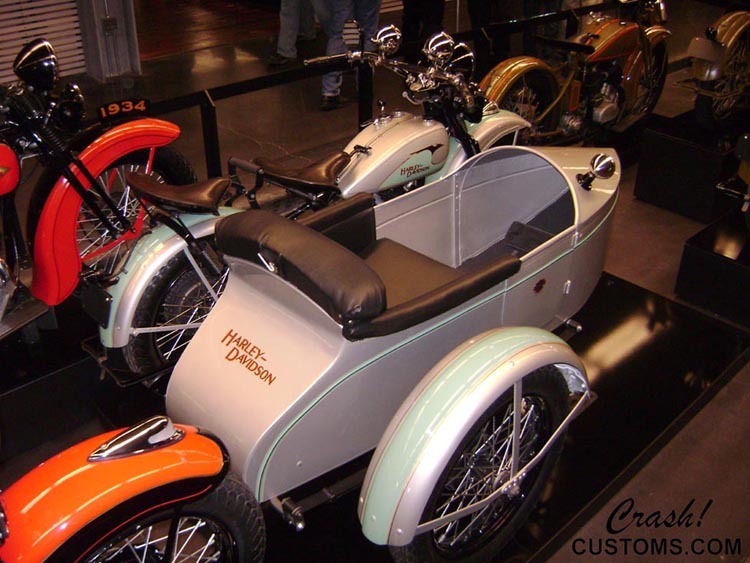 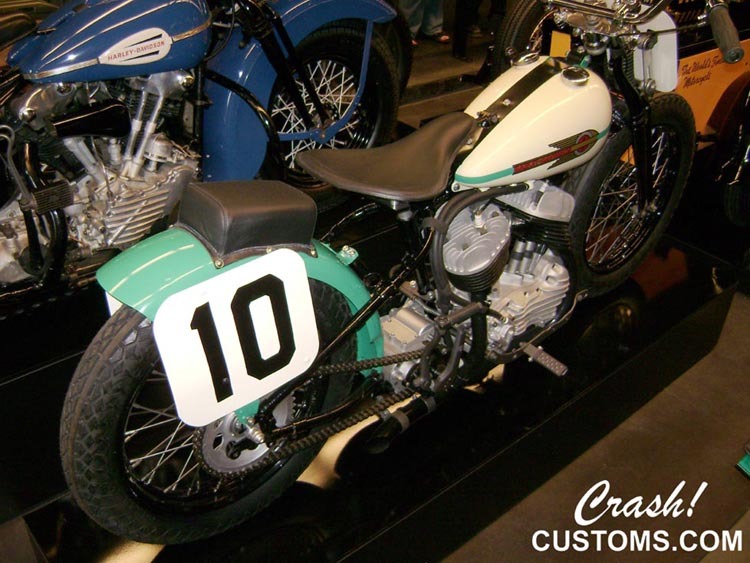 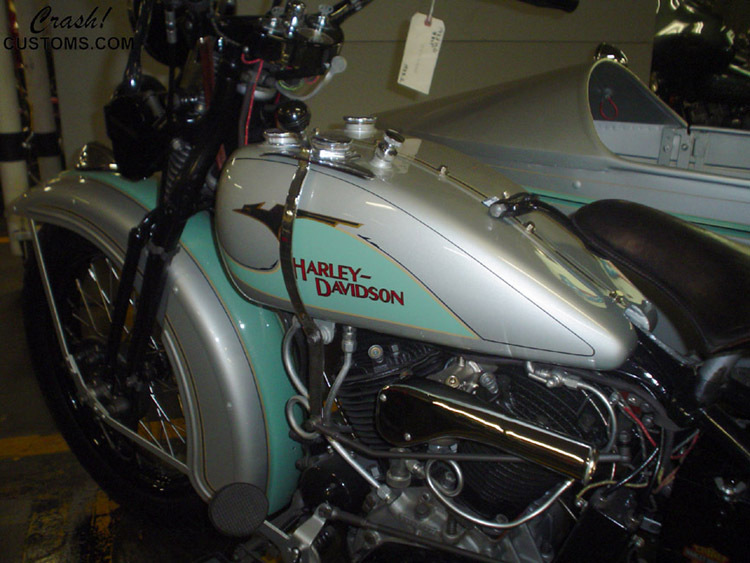 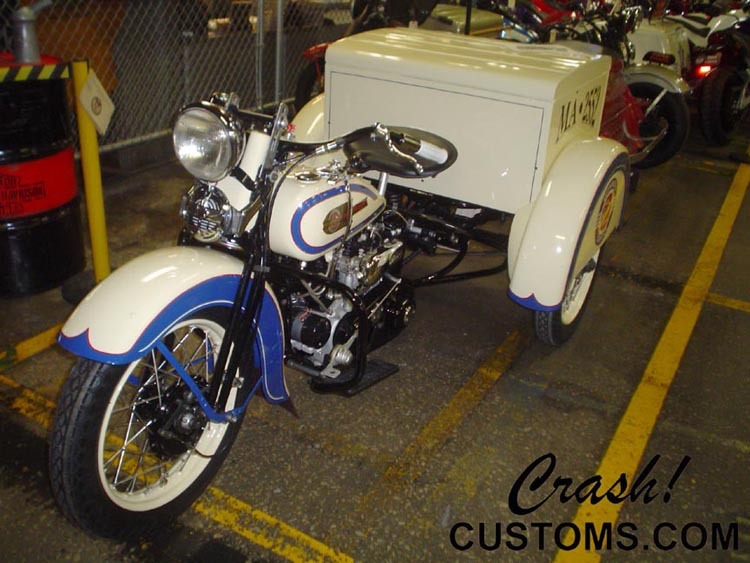 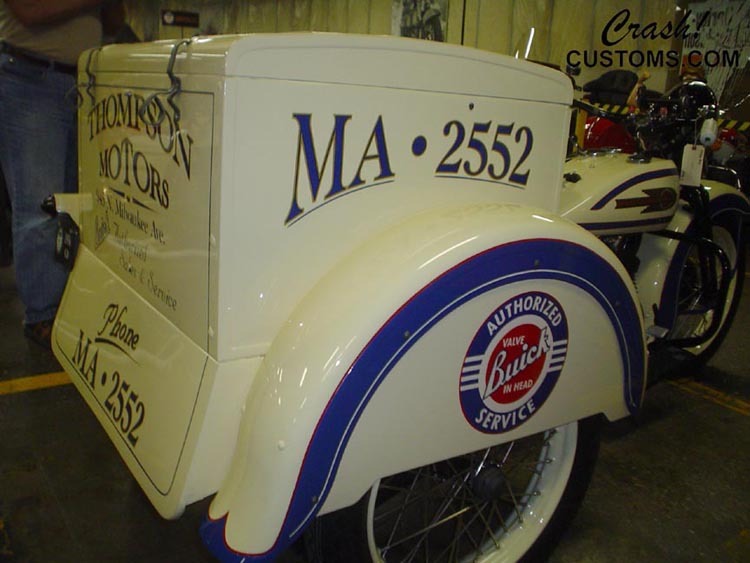 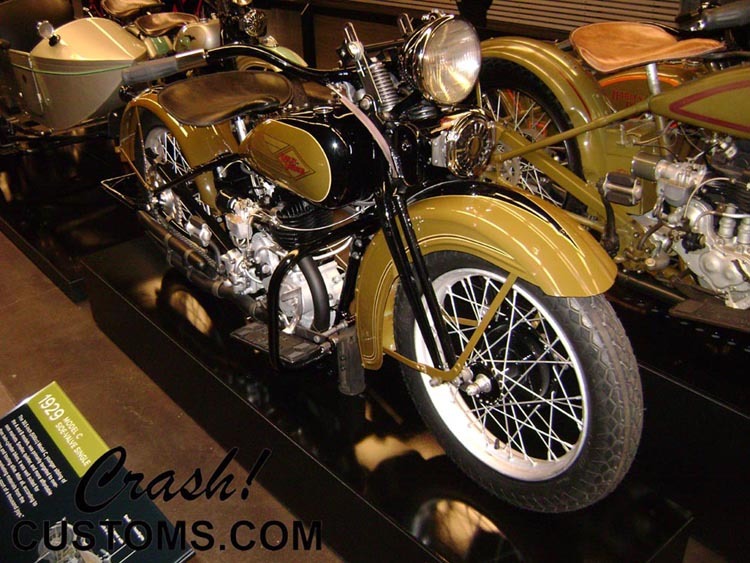 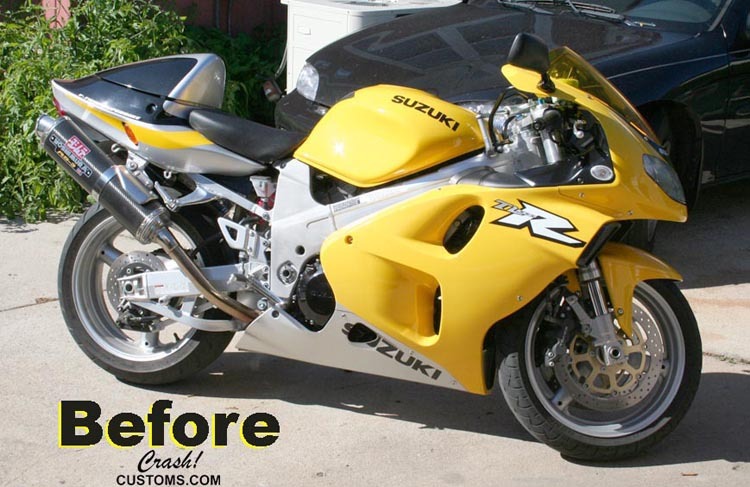 All were complete bodywork and custom paint jobs with final assembly by owner. 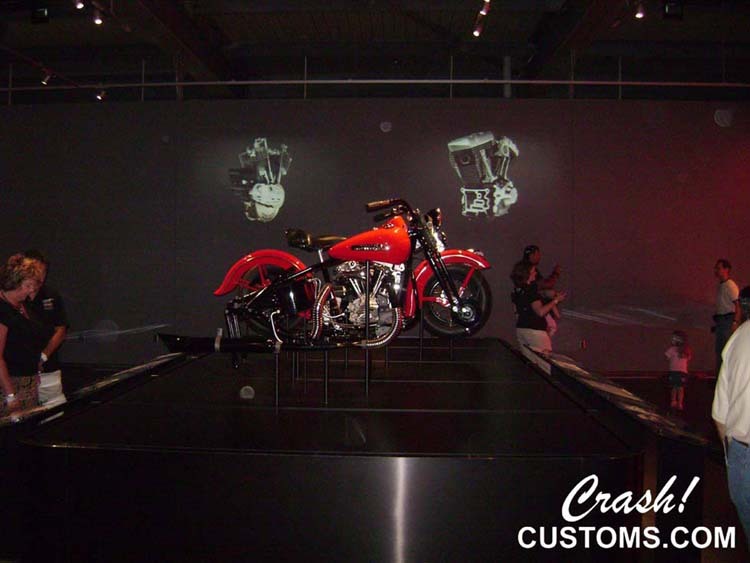 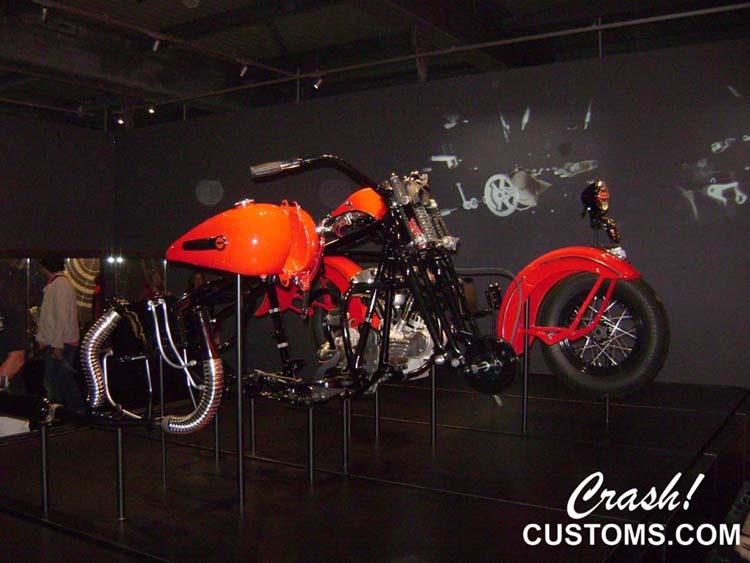 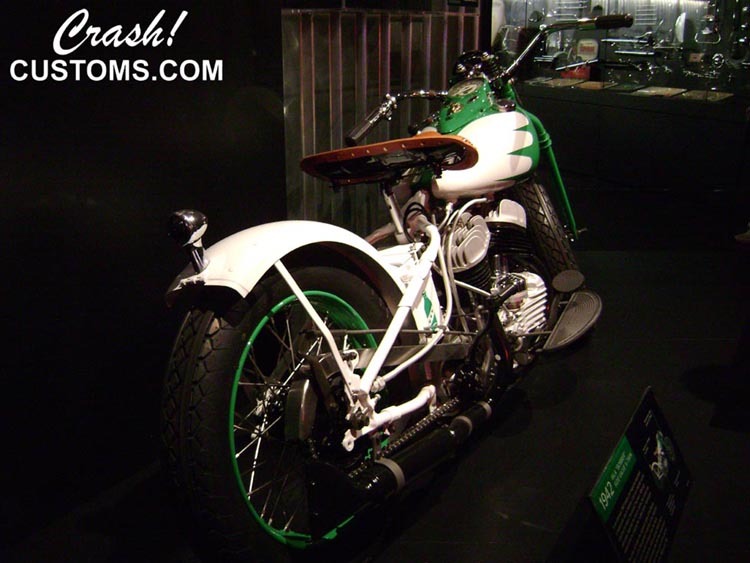 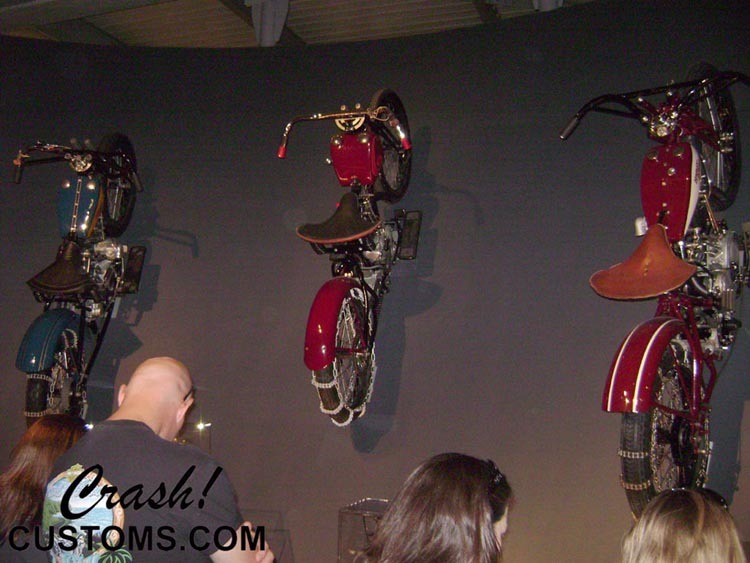 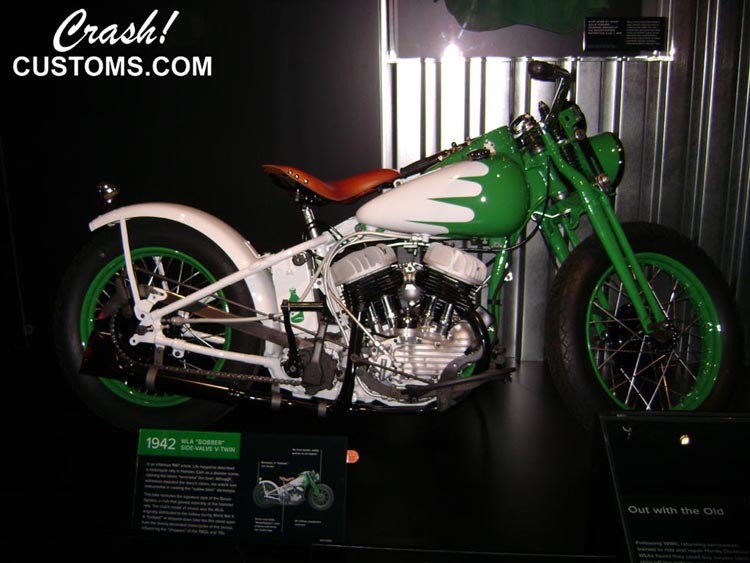 Finished bikes for Corporate Harley-Davidson, most of which are now featured in the new H-D Museum in Milwaukee. 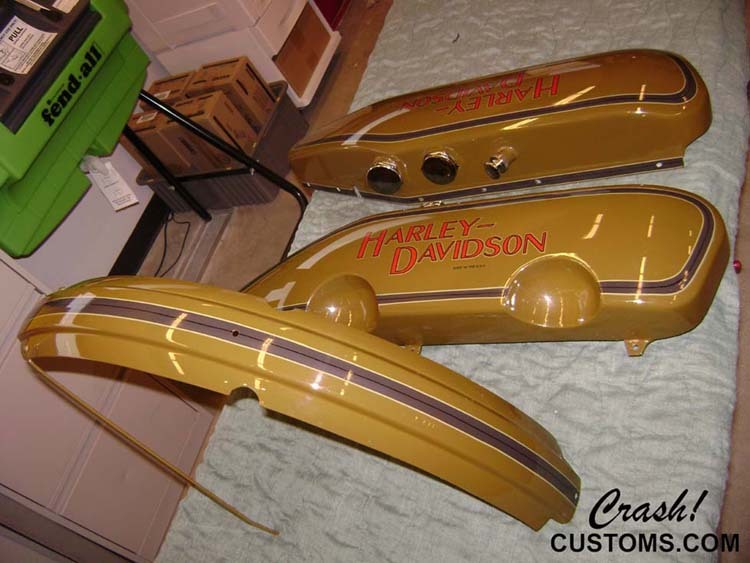 Final assembly by Corporate Harley-Davidson.